The Best Western Shaftesbury The Royal Chase Hotel is ideally located in the center of Shaftesbury. Come and experience our hotel near the major tourist attractions. Best price guaranteed and exclusive deals. 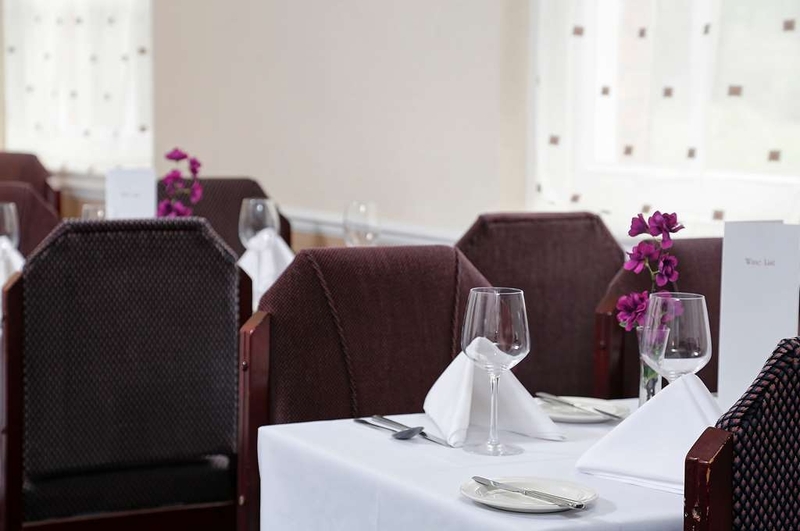 The Best Western Shaftesbury The Royal Chase Hotel is a country hotel, situated only four minutes from town, in the heart of Thomas Hardy country. 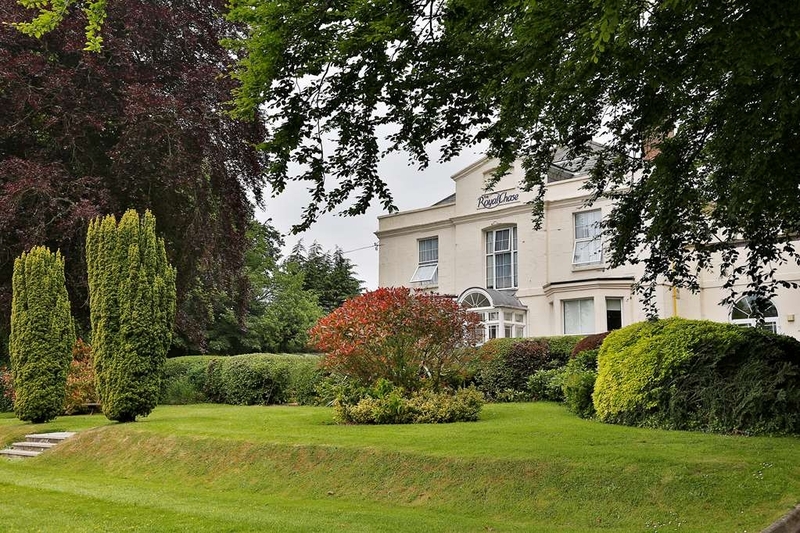 This is possibly Dorset's friendliest hotel where guests will discover a charming home away from home, a hospitable hideaway in the very best traditions. The Best Western Shaftesbury The Royal Chase Hotel is a happy mix of all that is best in hotels. Delight in the genuine warmth of welcome, the appreciation of what really makes for a memorable stay and our longstanding commitment to the highest standards of service and quality. 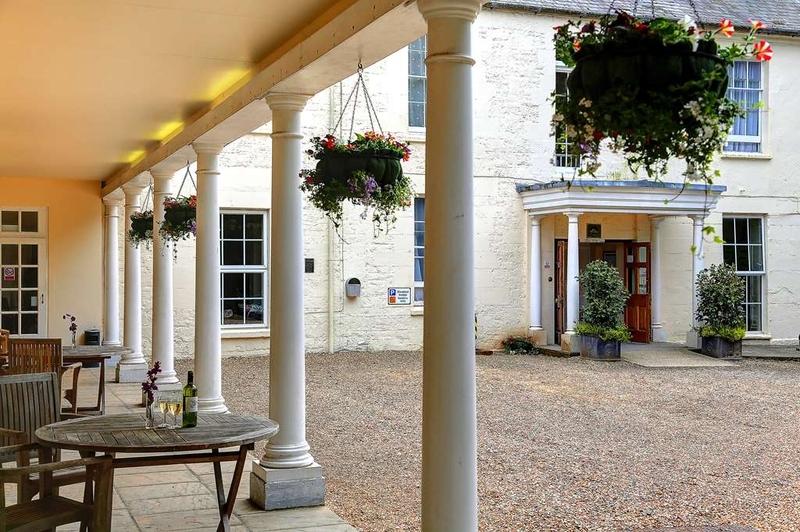 Close to the center of historic Shaftesbury, the Best Western Shaftesbury The Royal Chase Hotel revels in the surrounding glories of the Dorset countryside and the ample charms of Somerset, Wiltshire and Hampshire. Enjoy your stay. "Bright and comfortable, good service"
Parking is easy. Reception good. Our room was roomy, immaculate, bright (unusual) comfortable beds and good bathroom. Dinner in attractive dining room was very good, beautifully presented and with good service. Breakfast was nice. We'll return. We stayed for two nights, my husband and I with our 6 year old daughter and it was a really pleasant experience. I booked through a popular hotel booking site and within a couple of hours of the booking a member of the hotel staff had already been in touch to let me know they had a wedding booked one of the nights we would be staying, so there was potential for noise from the disco. I asked if was possible to have a room away from that area and a prompt response confirmed we could have a room at the opposite side of the building. Big thumbs up there! The day before arrival, another courtesy email just letting me know reception opening hours and how we could check in if arriving late. Again, this was really appreciated. The check in process was smooth on arrival and we found all the staff we encountered really friendly and welcoming. Our family room (double bed + single) was plenty big enough for the three of us. Very clean and the bathroom looked to have been recently refurbished (either that or extremely well kept!). We were really happy! We did use the pool too. Very simple, but ideal for us to have a little splash. It was quiet and we had it mostly to ourselves. All in all, we really enjoyed our stay and would happily return if we were needing accommodation in the area. "Pre birthday for my best friend and family"
Lovely lunch and special pancake menu for pancake day. Excellent service, delicious food. Thank you for looking after us. Swim and lunch menu available so you can have a dip in the pool then lunch after. available Excellent access for all abilities great car park close by. I booked this because we were going to a Soul Music event at Shaftesbury Football Club. My partner says I never let him down by booking a bad hotel and this certainly was true again this time. Great location for getting to the venue and also a Tesco for essentials needed. Walking distance. 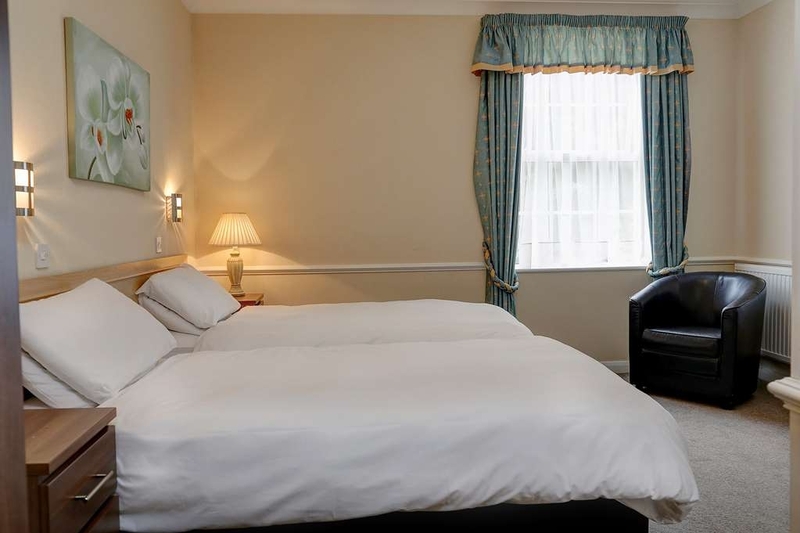 Spacious room with huge comfortable bed and newly refurbished bathroom with bath and nice toiletries. Clean and welcoming room to walk in to. Bedside lights left on for us, thankyou housekeeping. EVERY member of staff we had dealings with here were fab and efficient yet also unobtrusive which is what you want. Reception, bar, restaurant all great asset to the hotel. Nice that they had a selection of gins along with the Fevertree tonics we like. Food was good too. We had a light lunch, dinner before going out and breakfast the next morning. Big carpark which we could see from our room. Terrace in front too which we think must be very pleasant to use in better weather. Thoroughly recommend to everyone and would stay again without question. Lovely hotel been modernised recently, nice rooms, staff and facilities. Stayed one night and included a lovely breakfast. Staff all lovely and facilities were all good and clean, booking was easy and location great and easy to find. We stayed here for one night recently. Zoe on reception was so very very helpful and couldn't do enough for us - she is an asset to this hotel. We stayed on the ground floor in an executive room. It was very spacious. Had a large smart TV. Lovely bathroom with shower, heated towel rail & toileteries. The bed was very comfortable which I desperately need due to disability. There is an indoor swimming pool & sauna. Breakfast was cooked to order. Unfortunately they did not have any "butter alternatives" - many people nowadays don't or cannot eat butter. I believe they should address this. We would definitely stay again - in fact we have booked for February. We have stayed numerous times before having family close by. 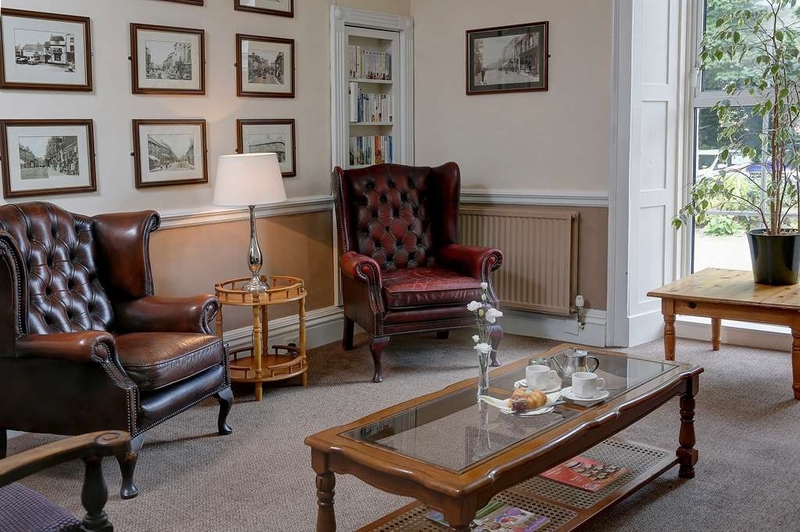 The hotel is in a great location for getting around Shaftesbury & further afield. "Lovely place to stay "
"Pleasant hotel in good situation "
Stayed on business and was not disappointed with the BW standard. Had an executive room which was very spacious and comfortable. Cannot comment on the restaurant or breakfast as I did use the facilities. Would stay again as it's only 20 mins walk to the centre. Really spacious and clean room with good facilities and huge, comfortable bed. Had we have known there was a swimming pool and sauna we would have taken out swimming stuff! 1 star taken off for breakfast- would have much preferred a buffet for cooked breakfast as portions were far too small for us (no toast served with a full English and only one of each item). "Easy access to Shaftesbury , nice market town." Convenient location for trip to Shaftesbury for the New Year. Breakfast was superb and staff very friendly. Ample parking on site and hotel has a lot of character still retained in the older parts. Rooms and bathrooms were spacious. Very comfortable and pleasant stay (as usual) with very helpful and friendly staff. Breakfast made to order, swift but not rushed, and nothing is too much trouble.Highly recommend the Royal Chase for a stay in North Dorset. Stayed here for one night as I has my Christmas meal. On arrival the reception staff were very friendly. I had a single room , it was very spacious for a single , plenty of bedroom storage . The bed was very comfortable indeed. The shower room was a lovely large walk in shower. I didnt stay for breakfast as I didnt actually live too far away, just too far to get a taxi home. Check out time was 11am on a Monday which was good. Two hungry people arrived at 1 pm without a booking expecting to be told there would be no availability, especially so close to Christmas. However, the staff were extremely friendly and helpful, clearing a table within a minute of our arrival and asking for our drinks order. The restaurant was spotlessly clean and very comfortable, the log fire made for a very cosy atmosphere. A section of 4 carvery meats and a good variety of serve yourself vegetables, Yorkshire puddings and pigs in blankets. Our drinks were on our table when we got back with our meals. Staff do not pester you but are close by if you need anything. Would definitely eat here again. Stayed with my wife on our anniversary, beds very comfy, food was good and plenty to choose from. Few staff in restaurant and busy, however Ryan, who was working that evening, saw to our every request without fault and made our evening very relaxing but also extremely enjoyable. We wish him well in his future endeavours and would like to thank all staff for a great stay. Had Sunday carvery here and it is delicious and good value for money. There is a very good choice of vegetables and there is also a good choice of sweets. The tables are set out nicely with white table cloths and the dining room is light and airy. Will definitely come again. We booked a table for the Sunday Carvery. On arrival the place was not too busy. The staff were pleasant and helpful. We couldn't fault the quality of the food - veg and meat cooked to perfection. Just one criticism - a bit tight with the meat. A couple more slices and all would have been perfect. "Lovely Visit. Lovely staff. Lovely Room." "Nice but bit dated in some areas. But sufficient for good rest"
Bed is comfortable slept well but sound proofing isn't great. Rooms a bit dated with old windows that don't quite shut out the cold air. Breakfast was good seed to be low on staff as many things had run out and know one to ask to replenish. Was a bit frustrating. Just what we expected. Clean hotel , friendly staff and good value for money. Bonus of having a pool. Next time would love it if you had a mini beauty room - nails , waxing, massages ect. 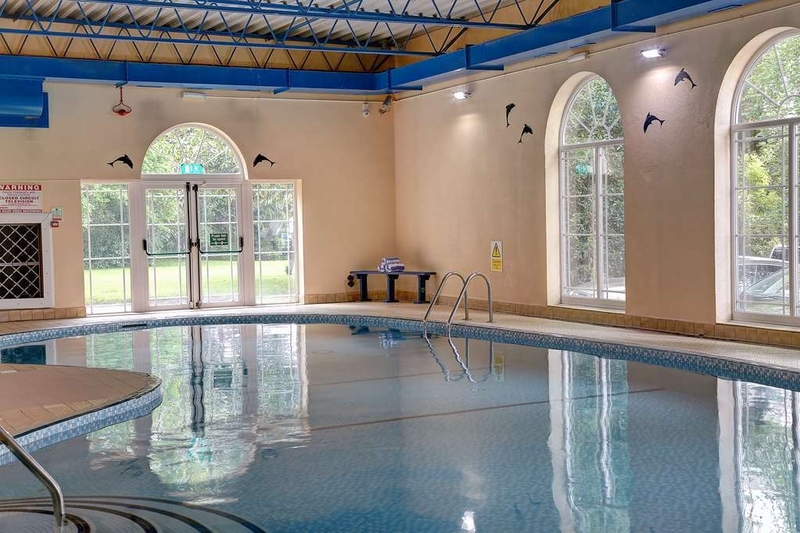 Spa and pool hotels in your area at a reasonable price are really hard to find - i know I have been looking lol Location excellent for Longleat and Dorset Heavy Horse Centre as well as an array of other attractions. Despite being so close to the road , room noise was minimal. Was pleased to see that we were put into the room we requested , was not sure that this was going to be possible after initial communications with the hotel. Exterior of hotel looks a bit dated and tired but it is an old building. Grounds well kept and parking wasn't a problem. Checkin experience was very good and efficient, all staff encountered friendly and helpful. Room comfort was good overall and bathroom had been updated fairly recently. Overall well kept and clean if a little dated in places. Common areas do seem a little tired though. Free wifi a bonus but was a little slow. Breakfast very good with a good choice and arrived freshly cooked and hot (unlike some other hotel chains).Didn't use the swimming pool but looked a good size for a hotel. Overall good value for a three star hotel. Only downside is a 10 minute walk into the town centre but we were aware of that when we booked. We had a pleasant stay in The Royal Chase. Lovely breakfast cooked to order and a nice evening meal. The hotel has a lovely indoor pool although we didn't take advantage on this trip. Sadly the restaurant was practically empty in the evening which didn't create much of an atmosphere but I understand this was unusual. Very busy at breakfast however. Our room was pleasant enough but decor looking a little shabby. Rather sad picture on one wall and not much taste. The staff were all friendly and helpful at all times. We would be happy to stay here again. "clean and modern in bedrooms"
Given a larger than expected room. Quality was evident in bathroom and facilities. Nothing was too much trouble. Booking a taxi proved problematic though as not many taxis in town. Good breakfast. Reception staff very helpful. There was a pleasant and efficient check-in on arrival. The staff were always helpful and are obviously a great asset in that throughout the stay nothing was too much troube. The rooms were clean and comfortable. We were warned of a wedding party being held whilst we were staying and heard no noise from this. Breakfasts were run efficiently. Although the menu is basic it is satisfactory. It appears to be managed very well and we would very happily stay there again. Was obviously once an admired hotel used by the town for functions and by business travellers. The hotel is now tired and in need of redecoration and a general injection of enthusiasm and team spirit. We had a very disappointing stay at this hotel. The decor is in serious need of updating. It felt more like a 1980's Motel than a Hotel! After a long trip we went to the Bar for a drink. It was a warm summers evening and the hotel was deserted apart from lots of women attending a ‘slimming world' meeting. The bar was unattended and after waiting a reasonable amount of time we gave up and walked into Shaftesbury. This hotel is 10 minute walk from the beautiful town and is the hotels only plus point.At breakfast we had to search for a member of staff to serve us. Staff could be seen in the kitchen but they were too busy eating toast and chatting to notice us waiting. Breakfast was served in a very outdated dining room which was decorated by artificial flowers. The breakfast was basic but acceptable.If Alex Polizzi came to visit she would transform this hotel in 48 hours! It wouldn't take much other than some fresh paint and some fresher staff! We have been going down to this area every year for the past 18/19 years and had passed this hotel.Our normal place was closed so I tried booking the Royal Chase and found it great. Rooms are a good size, beds are comfy, good TV reception, very pleasant restaurant with good food reasonably priced (didn't try the wifi, pool etc). I stayed one night for business and was very happy with my room. As soon as I walked in everything smelt freshly cleaned and was very comfortable. The restaurant food was delicious and having booked the meal deal with the accommodation we were able to have three courses, all of which were very nicely presented and tasty. Friendly staff and would definitely recommend. "Great Welcome from a first-class Venue"
I booked on the hoof whilst riding in the area. Great welcome from Charlotte, who explained everything. Tried the sauna (fine) and the pool, which was bigger than some hotel pools. Dinner was excellent, with great service provided by Sadie. All in all a splendid traditional hotel, with big rooms and comfy beds. The staff were extremely friendly and accommodating! The room was clean and the restaurant food we had fantastic. The pool Was needed after a hot day touring around. Would definitely stay there again. This must be one of the best carveries in the area. Very child and senior adult friendly With easy access for push chairs and zimmers. The choice of 4 meats and over 8 vegetables enables it to cater for all tastes. All served with the correct sauces and excellent gravy and Yorkshire puddings. There is a vegetarian option as well. An advantage for regulars is the loyalty card - 10 visits and then a freebie. Very good bar and waiter service. "Thank heavens for the staff"
What this hotel is missing is staff. Took 15 minutes with me scouring the hotel bar, kjktche, pool, outside. Really poor. Flustered, but polite young lady eventually showed up telling us sharply she and 'Steve' were on duty and that Steve, apart from being the barman was also bell hop and waiter. Good very good but over priced. Rooms clean. Bathroom small, but clean. Odd shower though. Hotel seems to have been recently decorated. However it was unappealing with no pictures up, walls bear, very Spartan and not very welcoming. Would I stay again. No, probably not, needs more work mainly on atmosphere and staff availability. On the plus side, a good room and bed and most staff helpful and pleasant. We had a good fish pie for dinner. A lovely garden but unfortunately it was hard to access and there was no seating, let alone outdoor eating: what a waste. Instead we had a drink in what might have been a nice portico had it not been in the car park and absolutely filthy. The bathroom was old fashioned and tired with peeling wallpaper and a stained toilet bowl. Stayed for2 nights over a weekend. Staff made our stay they were all excellent. Food was good as well, highly recommend the breakfast. Rooms were clean and had everything you needed. Would stay here again. We spent our honeymoon here 23 years ago. We had a lovely time and as we were in the area we returned for the first time for lunch. The hotel has obviously been updated some what and it all looks very nice. We sat in the restaurant and had a lovely lunch and reminisced. Food was really good and Kelly our waitress in the bar and restaurant, was very efficient and friendly. We will return for a weekend I think. Stayed 2 nights at this hotel. Was up graded to superior room when partner rang and arranged for champagne on arrival. Had breakfast which was £10 per adult free for children. Well worth it. Had evening meal in bar starter and main course. If we had known the potions sizes we large wouldn't have bothered with starters. All meals we lovely. We used the pool facilities, very clean. Staff very obliging, had to call night porter for milk for little girl all free. We had a ground floor family room as our booked twin was not available, probably due to a large party of Australian gardeners who were visiting the area. Decoratively the room looked a little tired but was clean and nicely furnished and we slept very well. Breakfast was excellent but best of all are the delightful staff who make you feel welcome and at home. Our daughter and son-in-law dine there frequently so that has got to recommend the kitchen too. A busy hotel. The car park eases after 6 . No room change on offer as it was full. I was daunted by a room overlooking the carpark and ultimately the road, but slept soundly. No air con, but the windows do open! 23, first floor= A good size room with tea and coffee making facilities and even chocolate powder and biscuits. Locked-in-time carpets! No lift , be prepared to carry your bag. Very good breakfast , lots of choice of freshly cooked food, served at a reasonable speed. Evening bar snacks not so good , and white wine was warm. Large bathroom, with a bath. Impeccably clean. 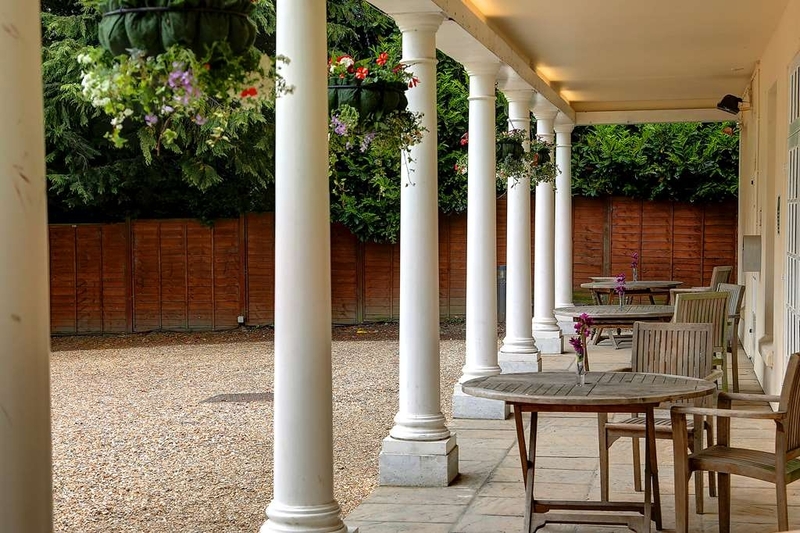 I would recommend staying at The Grosvenor Arms over this hotel, a room at each costs £135 but includes breakfast at the Grosvenor and would be a much more pleasant stay. Rooms are outdated and lacking in any style, the shower trickled and it was unbelievable stuffy - no air con. This is not good value for money imo. We had a highly drab weekend here, for a wedding nearby. Room was basic (but clean) with rock-hard pillows. Worst element was it was like a sauna - no air con, and just a fan to circulate the warm air. The decor in central areas had some of the naffest most hideous pieces of tat I've seen in a long time. The breakfast room only lacked Manuel to be the full Fawlty Towers experience - so 80s and dated. And when i called in the week to enquire about booking taxis i was told "Google taxis shaftesbury" - wow. Just wow. Third time I've stayed here and it a nice hotel within walking distance of the shops and sights of Shaftesbury. Room very quiet and spacious and staff very friendly as well. Nice grounds with plenty of car parking. We stayed for 1 night for our friends 50th birthday party. The bedroom it's self was a bit out dated however nice and clean. The bathroom was lovely and clean and is newly refurbished. All the staff were very nice and helpful. The breakfast was made to order and was really nice. The hotel has a nice little pool however we didn't use it. All in all a good stay. I had to be in this area on business so I took my wife for an overnight break to relax and enjoy what from the initial impression was a nice, comfortable, relaxed hotel. We were not disappointed at all. ALL of the staff at this hotel were extremely friendly and very professional, in my experience, not often a combination easily achieved. Luckily we had probably one of the best rooms in the hotel. Comprising a super comfortable bed, beautiful en suite with a bath and a shower. The food was delicious ( can recommend the lamb, my wife's steak was perfect too) my wife used the pool and said the temperature was perfect, not too warm or too cool. Good advice from the very helpful lady managing the reception (my apologies, I can't remember her name) who advised against driving into Shaftesbury and walking. The only negative was, I had some difficulty connecting to the WiFi but this could have been device related. It was solved eventually. I can highly recommend staying here, we shall be staying here again, if/when we return to this part of the UK. Worth a walk to see the famous Gold Hill, location of the Hovis advertisement on 70's television. "Tired and need of refurbishment"
Visited this place for the first time today for a business meeting and the place is very tired and in need of refurbishment. Service was fine but this place could be so much better with investment. I won't be returning. Hotel was everything we needed for an overnight stay with the benefit of having a swimming pool to entertain the children on arrival. We had been told the room would be a tight fit for a family of 5 however there was ample room for us all. If and when I we come back to stay in Shaftesbury I would definitely return to this hotel. "Pleasant Hotel - looks can be deceptive." Room 30 (ground floor) family room. Located very close to pool which worked very well for us :-) Clean , tidy and had all the accessories you would expect of 3 star hotel. There was an unpleasant smell in the room on arrival but this cleared after leaving the room window open for a while. I joked with my husband if the previous occupant of the room had passed away prior to our arrival - very distinct aroma lingering around! Customer service faultless , staff members communication prior to our arrival was also excellent taking into account the last minute nature of our booking. Reception saved us £80 when they noticed an error on our room account. We were also pre warned about a private function that was going to be taking place during our stay. Had our window open and no noise issue at all :-) Room Service - menu choice good , food quality outstanding (exception being sausages, not keen). The Stakes we had were as good as any 5 Star Hotel restaurants that we have dined in. Liked that breakfast menu took into account different appetite sizes , must help to reduce food waste. Key to state number of each item on the list you would like. Swimming Pool was the main reason for booking this hotel. It was very busy owing to Easter Holiday, however for a splash about with our 4 year old it was ideal. Opening hours are good and no restrictions on when Children can access the pool. The one thing that lets the hotel down is its car park and shabby looking external paint work. Needs some fresh paint and new tarmac / gravel. "The only place to stay in Shaftesbury"
I've stayed here on business a few times now and going back next month. The Chase (or the Royal Chase) as it was once called is an old house that has been massively extended Rooms are sparse but comfortable, but the highlight has to be the food in the bar and restaurant - the chef is a fantastic cook and the food is amazing I try to book the larger rooms, although the downside to this is that there is only one TV in the lounge part of the room and it is a long way from the bed, so if like me, you are a bit hard of hearing, watching TV in bed is a bit of a problem! "Ok hotel could do better!" "Best Western living up to its great reputation." I have to start by saying I agree with all the reviews that talk about the staff being so friendly. Without any hesitation, they seem genuinely eager to make sure you have everything you need to enjoy your stay. The hotel is very comfortable, huge bed, ample bathroom and good supply of teas, coffee and biscuits. Lots of wardrobe space and large mirrors. Don't bother with the slow hairdryer in the bathroom, I found a full sized proper dryer in the drawer after I'd struggled to dry my hair with the fixed bathroom one! The breakfast was excellent but evening meals weren't great. The fish and chips were good but duck was dried out and quite hard to eat. After a long journey I didn't complain and just ate what I could as I was hungry and tired. Bar prices were quite expensive which is a shame because we would have used it a lot more, had it been good value for money. £4.75 a pint and £17.95 for wine adds up to an expensive night if you're relatively big drinkers like us. The ladies behind the bar were fab however! The pool was lovely, clean and not crowded, the sauna was the same. Getting into town was about a 20 minute walk which was fine during the day, but the weather was freezing, so later we tried to book a taxi when we decided to go back there in the evening. After ringing more than 10 different taxi firms who were too busy we gave up and had no choice but to walk again. During the evening we tried over and over again to get a taxi home, to no avail. By this time it was tipping down with snow and extremely cold. A very helpful, fast food delivery man eventually took pity and gave us a lift back. Top bloke!! All in all I would recommend this hotel and wouldn't hesitate to rebook if we visit the area again. Stayed here for one night with my husband. Room was very nice, bed was huge and very comfortable - room was a good size. Room overlooked the gardens and car park area and was very quiet. Had dinner in restaurant which was very good. Chicken and mushroom pie was very tasty and lamb tagine was delicious. Apple crumble and custard was really scummy and cheese board was also very good. Breakfast was also great and plentiful. Staff were all very efficient and professional. We didn't use the pool but it looked good so regretted leaving costumes at home! Would stay again and would definitely recommend. "Remarkable one month stay in a hotel!" Was here for almost a month... feels home. Very accommodating staff... extra mile assistance. Everyone is nice. Peaceful place. Nearby drugstores, Tesco and town center. Will definitely stay there again! "Very Nice Place and Staff"
We had a nice time there Grounds and building look good, Room was very nice, Staff where very Friendly. Bar nice with open fire. Food was excellent. only thing was Pool was not able to be used on the Friday. "Superb Staff Make This Hotel"
Hotel booked on spec as a stop over on route to holiday with small dog so no particular expectations. Dog friendly can mean dog tolerant and rooms/facilities are very different between hotels so provided you are not expecting 5 star treatment and service, any effort to give good customer service is welcomed. Having read several recent reviews I think I must have been staying at a different hotel:- Location is a little strange, it is easy to drive into the rear of the building as we did, believing it is the front but once inside, finding reception is relatively easy. Check in fine and in the course of conversation established that dogs welcome in bar area where you can eat. Staff happy to set up a table for us here also for breakfast so excellent service so far. Rooms are very clean but a little tired. They have all the amenities required so missing a little grout here and there and a few bits of chipped paint really do not matter if all you intend to do is have a good nights sleep which is what we did. Unfortunately there was a large party in the room next to the bar which was loud and had an abundance of people in and out to the bar so eating in the evening may have been a little difficult. We went to reception just to ask when the party may be finishing as we could eat later and found that they would set us up a table in a small room nearby in order that we could eat in comparative peace. You cannot buy that sort of thoughtfulness, even in a 5 star hotel so credit must be given to the staff concerned. We were so pleased that we did stay, the food was superb. Had we lived locally we would have happily booked a table in the restaurant on a regular basis. All in all, we had a really enjoyable stay. A special thanks to the reception staff and especially Kerry who in the thick of it all still found time to help us. Please do not be put off by some of the poor reviews. We are now looking to book again for one night on our trip back home! "Leisure Break in a Budget Spa Hotel"
A three night B+B stay, we had a room at the front, bright and comfortable and not disturbed by road noise. Overall value for money as long as you give the restaurant a miss in the evening. Works canteen quality at smart restaurant prices. The bar lounge area is very nice, superb real fire and comfy seats. Bar prices good and nice ales/wine. We used the pool, spotlessly clean and warm, Sauna the same. Staff all very friendly and helpful. Chef needs a lesson or two though and the deep fat fryer oil was definitely in need of a change. On our second night there was a busy party monopolising the bar and the staff were run ragged, they still found time for me though when I needed something. Lots of eating choices a 10 min walk away so do try elsewhere in the evening for dinner. The hotel is very sad , to few staff most times , breakfast was hit and miss depending on which chef was cooking , the bathrooms had no water pressure for a shower , the welcome at reception was poor ,the check out was even worse ,unfriendly to say the least . the room wasnt cleaned every day . Disappointing stay last weekend. The room at the front of the hotel was a mistake and I should have asked for 'the quiet side' which I normally do but forgot this time. The room needs a facelift and double glazing. When the front door is used you can hear in the bedroom. However the worst part was the bathroom, the grouting needs replacing and a good steam clean around the edges of the bath. The bath itself was clean but not the surrounds and when it was last painted this wasn't cleaned properly where it had splashed in the tiles. The wardrobe door was loose so care was needed when opening. Even the shower switch came off. It was a cheap model and not what I would expect in a commercial property. Evening meal needed to be booked by 6.45 as the hotel had a private party that evening. Evening meal was ok although the side salad was more like a 'dressing' to the plate. In fairness to the receptionist she was most apologetic and immediately apologised and refunded half the cost for the room. She said she would put a block on the room for that night and ensure she notified all those who neede to know. All the staff we came in contact with were friendly and had a smile which isn't always the case. An hour or so later I had a call from the hotel receptionist to say she had checked the room and was very apologetic and refunded me a further £20. I can't fault her professional attitude or approach - this is excellent customer service and I feel it's important to note the good along with the bad. We are staying in Weymouth in September in another one of the BW hotels so I hope they redeem themselves. We decided to book for Xmas lunch as a family as a treat so no-one had to cook. What a disappointment this was, I found this hotel to be pretty soulless, the staff were very nice and did their best to give good service but the food was so average. I had pate to start, it was just ok, could of made it better myself, the main event Xmas dinner was ok, no effort was made to make the veg special, it was just steamed, this surprised me as usually there would be maybe sprouts with bacon or red cabbage, you know the usual things that set Xmas dinner apart. The thing that really annoyed me was they tried to say that their were no parsnips but clearly they ran out. I really felt that a toby carvery would have been better than this. We still had a good time as a family but @ £60 a head felt totally ripped off. Had it not been Xmas day and I felt for the staff I would have kicked up a stink. Definitely won't be returning. Stayed for 3 nights over new year with my husband and 15 month old and overall it was a very pleasant stay. We used the hotel as a base to visit Longleat and Stone Henge and location wise it was great. There is a Tesco very close by and the village is a short distance away. We used the pool and the restaurant and both were good and our room was clean and a decent size. Staff were very welcoming and helpful and the hotel was child friendly. The decor in our room (32) was just a bit dated and could probably do with a bit of a refurb. The shower was powerful which was good but the toilet flush was very poor! On the whole a pleasant stay and it met our needs for what we wanted for our trip. 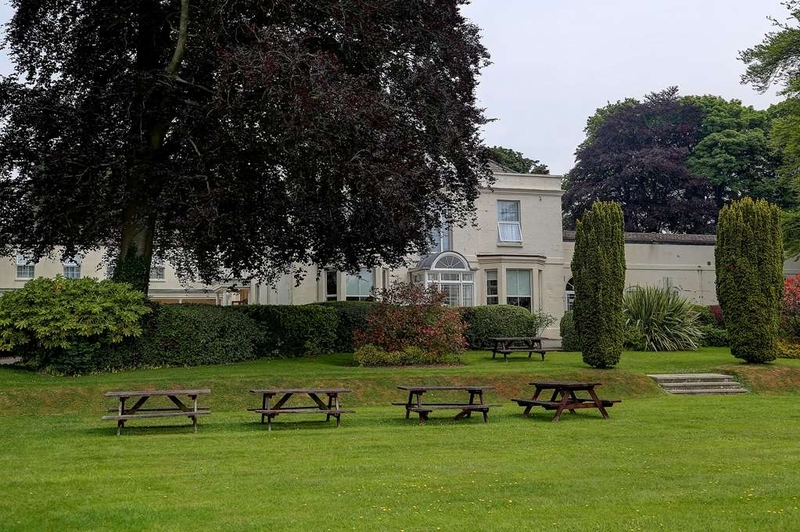 "Really comfy beds, great location and helpful staff." Great family room, very quiet and super comfy beds. Bathroom wasn't clean (just sink and mirror) but staff offered me a room change and were entirely attentive and helpful for entire visit. Great pool, located perfectly for town. Hotel situated 15 mins walk from Shaftesbury, friendly staff, nice pool and sauna. Room clean but decor looked a bit tired. Toilet didn't flush and room adjoined adjacent room, didn't get much sleep as neighbours were noisy. Breakfast was poor quality. "In need of an upgrade"
A warm welcome awaits you at The Chase. The staff were very helpful. On arrival one is faced with a rather dated exterior. We had hoped the inside would have been better, sadly not the case. The hotel rooms and especially the bathrooms are old fashioned and need more than a lick of paint. As a seasoned traveler I would have appreciated the little touches such as a shower cap, but yet again disappointed. "Not the run of the mill"
I stayed 4 nights in room 42, a large double room with an ensuite. 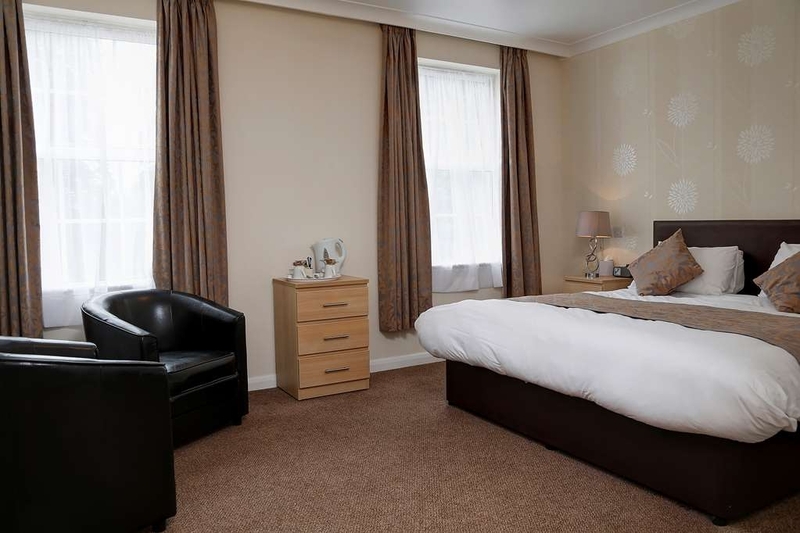 The bed was excellent, very firm and supportive and the room was kept very clean. The breakfast's are varied and tasty, I opted for the porridge instead of the cereal, it was made to order and it was delicious. The main courses range from the Full English to Smoked Salmon on scrambled eggs. The hotel has a pool which I didn't sample but it seemed popular without being over crowded. My only slight criticism is the Reception is not at the front of the hotel being the first thing you see, its down a corridor and appears to be in a converted cupboard. Move it to the front. Stayed one night in room 43. We had asked for a quiet room and this was exactly what we were given. Room 43 is a quite large ensuite so there was plenty of room for 2 people. A bonus for us was the windows actually opened. There were nice toiletries in the bathroom, a plentiful supply of hot water and, if you've left your book at home, there is a good in house magazine, called Postcard, with interesting articles. The room was clean and the bed comfortable. We had breakfast and there was a good choice of cereals and fruit juice. Then you could pick and mix the cooked food from the menu. We found all the staff to be pleasant and efficient. The hotel is about 10 - 15 minutes walk to Shaftesbury centre. We didn't use the bar area but it looked cosy with a range fire and leather sofas. There is a car park at the hotel. We would stay there again. A marvellous stay, a lovely dinner, great breakfast and a fantastic sleep in a comfortable bed. The room had plenty of space to move around without bumping into each other. The staff were absolutely fantastic, great service ands nothing was too much trouble. This hotel is situated approximately 15 minutes from the town. It has a nice feel to it. Rooms are being upgraded. Check in quick and easy. Bar area cosy . Beware fitness classes can make some rooms noisy. By far the biggest let down is breakfast. I ordered crumpets and they were still frozen in the middle....how can you get toasting wrong?? My friend ordered her breakfast one morning and when it came out the baked beans were cold. A solid B could do better. We took advantage of Best Western's Winter Sale rates and had excellent value for money. Comfortable room, friendly staff and the food in the restaurant was extremely good and reasonably priced. We would definitely stay again. Love this hotel stayed here at least5 times now the staff are so friendly and helpful. Rooms are being upgraded and are comfortable and relaxing you have everything you need even down to iron and ironing board. The food is great a very good choice at breakfast and cooked beautifully. The evening meals are also beautiful a very good choice of fresh Cooke homely food will be back again next year as our daughter lives near by wouldn't stay anywhere else. I've stayed in many hotels when away with work but the food here is by far the best I've had in any comparable hotel and such good value for money. Pheasant and Venison steak were specials on 2 of the nights I dined and both were very nice, well presented dishes. A highly competant and freindly front of house team made for a great 3 days away. The hotel is located about a ten minute walk from the town. It is a nice easy walk to town. The hotel has generous parking and is pleasant inside. Our particular room was very hot and fans were provided in all rooms and corridors. We couldn't open the window overnight as we were directly above the hotel generators, which made sleeping near on impossible. I brought this to the attention of the lady at reception in the morning and was told when I book next time (which I won't be doing) to book a quiet room. I said to her that I assumed all of the rooms were quiet. Why would I want a noisy room?? Apart from that the food was excellent and restaurant staff very helpful. We won't be returning. Reception on arrival was friendly and efficient. I had to ask for our cases to be sent to the room as there is no lift (already knew this). Room was comfortable and a good size for the executive suite. Food throughout was good. Only problem with breakfast was the first morning. No tables free in the dining room so was directed to the bar by a waitress where tables were laid, but then we were forgotten about for a while. Minimum level of staff on an extremely bust morning and the staff were under pressure. All the staff we dealt with were friendly even those who were struggling at breakfast time. "Nice hotel - needs more breakfast staff"
Comfy, friendly staff and pleasant room - I had a good night sleep. Unfortunately, the catering staff couldn't cope at breakfast. I waited ages for service and had to ask for the table to be laid. You could see how stressed they were. Just one extra member of staff would have made all the difference. When breakfast did arrive, it was delicious! "Best food out of Yorkshire!!" We've stayed here 4 times now What draws us back are the excellent staff, their friendliness and service. We are real foodies and have never been disappointed with a meal in the restaurant . The same menus available in the bar if you prefer a more relaxed setting. 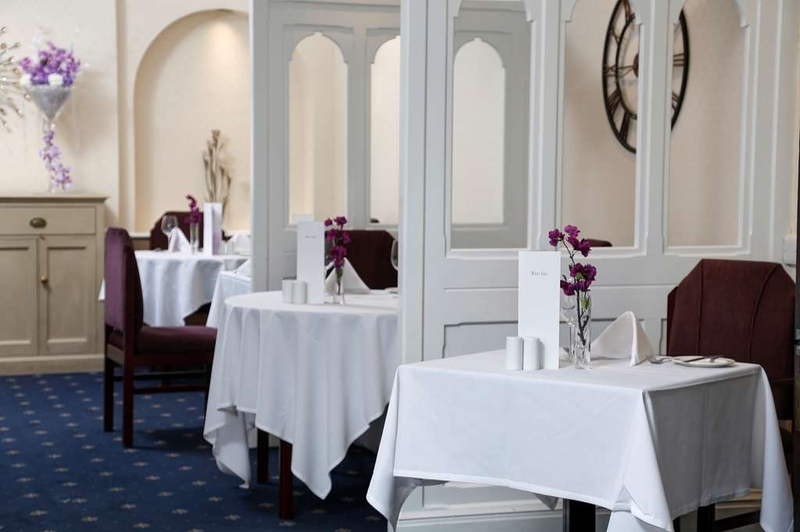 The restraint is small, immaculate, tables with crisp white linen, including napkins and the staff are fantastic . Rooms: we stayed this time in number 2 . Quiet location, large bed, warm but a little small and I would have loved a bath and not just a shower so next time I'll make sure I ask for a room to accommodate this. No complaints at all. This hotel is graded 3* and it is because of lack of lift etc but apart from some rooms and areas waiting their turn at being refurbished you'd be hard pressed to find better for your money , especially if you like a swim sometime in you're day. See you next year! "A reasonable night - nice and quiet"
This was a return visit but in a different room!! I was in room 8 and whoever designed the bathroom obviously never ever stayed in the room. Yes a super modern bathroom but the washbasin is tucked away in a very small alcove with the HEATED towel rail takes up some of the very limited space so preventing you getting to the basin!! Excellent breakfast - enjoyed the sausages!! Great breakfast and pleasant staff but this dated hotel certainly needs a makeover. Its a dog friendly hotel but the tiny room was shabby and so noisy, our experience of the place was very poor, which was a shame. I have stayed in a lot of Best Western hotels and generally find them to be very individual a pleasant change from the corporate chains, however this hotel just misses the mark. First impressions are not good with an untidy and uneven car park the reception area is very unimaginative and boring and does a little to encourage a sense of quality. My room on the first floor was tired and dated the bathroom was unfortunately very lacklustre although clean. The swimming pool and sauna were however a bonus for a hotel of this size and quality. My room (room 2) was musty and smelt of damp. The toilet ran all night and I had to put towels around it to make it quieter. The bathroom was very cramped without even a place to put a wash bag. The hot tap in the sink sprayed all over me. The bed itself was comfortable and large. Breakfast finished at 9:30 but the bar stayed open late. "A rotten time in a nice building"
First impressions good, great location, and a well decorated and maintained building - well staffed with pleasant happy folk all eager to be of service. The bathroom is clean and in good order and the bed? ... just right as Goldilocks might say. Squeaky floors were tolerable as was the restricted breakfast start time of 07:30 for hot food - I needed to be at work locally by then each day so I knew I would miss out. Like a previous reviewer I was sited above the smoking veranda, I already knew the hotel was fully booked so I was trapped - forgivable but frustrating as my booking profile (I'm a business traveller) expressly states non smoking areas only. - I was just in time for an evening meal on arrival (the restaurant closes at 21:00) and I ordered my starter at bang on 20:30 it came at 21:01 - a deep fried mozzarella ball with roasted tomato chutney and a pesto dressing - well presented, but icy cold in the middle, not just fridge cold but frozen... I hadn't eaten in nearly 26hours so wolfed it down anyway. I prepare this myself on occasion, I know it's not a thirty minute dish for an amateur let alone a professional kitchen. The main arrived some 20mins later - an overcooked and dried out pan fried chicken breast that needed considerable effort to cut with the cutlery provided, on a wild mushroom and parmesan risotto that resembled a couscous mix needing another five minutes to steam - it was wetter than wet and I couldn't even taste the parmesan, as to the mushroom content I actually lined up the slices and counted enough for only two complete ones - it was laughable, I had already had to summon the waitress to get me the pepper mill as it was truly bland. Once again my hunger made me eat it all - I really couldn't face sending it back as I needed to sleep ahead of an early start. Eventually I was rewarded with the dessert menu and selected a creme brulee before the waitress could walk away - after 7minutes I was informed it wasn't available. I had to actually request the dessert menu again and my second choice of a posset duly arrived fresh from the fridge after what seemed an eternity. "may I have a spoon that actually fits the glass please?" - it was made in a cloudy (very dish-washered) glass from the bar. That spoon also took a while to arrive as it seemed all the cutlery was kept elsewhere in the hotel and certainly not in the Byzant Restaurant where I had become the sole diner quite sometime earlier. I got my bill at 21:46 ... an hour and a quarter isn't bad in company with drinks, but considering each course only lasted me a few minutes at most it was shocking - to be fair I did take my time over the dessert as I had no fear it would get colder.. Throughout my meal I stuck with my original choice of tap water with ice as I wished to enjoy the flavours and was being kind to my stomach after starving it. I can't drink that late in the evening when I need to drive around 0700 so despite an expense account I opted to forego that possible excuse for what came next.... do read on, please. I had requested an early alarm call that never came despite the check-in clerk highlighting it on the paperwork - it was entered in the correct location on the form, but she made certain to assure me that it was clearly marked. In the event I didn't need it as I awoke with appalling stomach cramps around 05:30 and suffered acute diarrhoea until lunchtime - as I said I'd not eaten anywhere the previous day and only drank bottled water prior to my arrival so, as I'm sure you'll feel I chose wisely, I have opted not to dine at this hotel anymore. Free parking on site and good size rooms, pretty decent shower, plenty of plug sockets, a fair size tv, hairdryer and kettle. My current room is dated (the bathroom appears a bit fresher) and smells ever so slightly musty with some creaky floors and doors but generally not too disturbing. The doublet cover is torn and generally there is a lack of attention to detail around the place. The remote needs to be pointed directly at the red spot on tv to work. The bed although slightly lumpy I found pretty comfy and got a fairly good nights sleep. No air con but plenty of fans about the place and the windows do open. It's just a shame people were smoking near my window (rear of building) smell filled the bathroom even with the window shut - yuck! Coffee, tea, biscuits available in the room but no hot chocolate :( Soap, shampoo/shower gel & conditioner provided. Fresh towels every day. Staff friendly enough but often disappear - I suspect this is because there appears to be only one person serving at a time so usually you have to wait a few minutes for them to appear e.g. at the bar in the evening or when waiting to be seated for breakfast. Very disappointed by the food served in the bar. On my first visit I didn't enjoy the BBQ special - they had to substitute the ribs (with gammon) as they'd run out - I thought BBQ ribs with bacon and pineapple and mash sounded yummy but hardly ate the awful monstrosity served up (see pic). On my second visit the chap next to me said some of his garlic bread was a little burnt whilst my lamb was tough as old boots the al dente veg was cold and the red wine jus flavourless - well that's two disappointing meals now on separate occasions - next time I'll give the main menu here a miss and go to the pub opposite or Tesco up the road. Breakfast is fine, cooked to order. There was a small spread of cereals, yoghurt and pastry. Warm water and a selection of fruit juice in leaky containers again demonstrate the general lack of attention to detail here. However, I am impressed with the fact they have gluten free items marked on the menu and gluten free cornflakes available - I'm told gf bread is available but you'll have to ask for it. Oh and plastic flowers in hotels/restaurants should be banned - nothing but dust traps and not nearly as nice as real flowers or a decent centre piece! They do have a pool which I enjoy using. Although not very big and has curves walls so not designed for proper swimming - no lanes. Free Wifi in my room dropped constantly and is not even worth the hassle of fetching emails, surfing web or Skype! Not great if you have work to be done online. In the bar it's not bad - 14Mbps down 4Mbps up, latency 60ms and should be able to handle multiple devices streaming. "Nice hotel with very helpful staff"
We stopped for lunch here as they held the blood donor session in the hotel and my husband's appointment was early afternoon. The staff were very friendly and helpful. I had a vegetarian risotto which was a creamy one which was very good. My daughter had the same but asked for a chicken portion to go with it. They obliged. My husband had sausage and mash, gravy and a portion of peas which we all shared. My only suggestion would be to add some garnish or a few green veg to the risotto as it looked bland. We stayed 2 nights at the Hotel. Staff are very helpful and polite. The room allocated was large and had plenty of space with an en suite. Kettle with tea, coffee, Biscuits etc in the room. Comfortable bed. Tolietries in the Bathroom. Nice large towels. Breakfast was nice. Plenty of choice too on the menu. There is a swimming pool in the Hotel for Guests to use, which is also open to non residents. No complaints about the Hotel. There was a portable fan in the room as it was a very warm day/night when we stayed. We put the fan on all night as even with the Windows open it was warm. Ironing board/iron/hairdryer in the room. "Great location, good service and great room"
This was a good hotel, the staff were fine, there were workmen throughout the place during the day and the car park seemed full of workmanship vans, however when inside you would hardly know they were there, and it was a clear sign of a commitment to keep the place in very good order, and in that they succeeded. Great room with easy access to grounds which were a plant place to sit for an hour. Fortunately we had a couple of stairs in our car otherwise there was nowhere to sit and enjoy the garden. Restaurant was fine and we stayed in for dinner. The waiter service was very good, prompt, polite and very helpful. "Nice enough but update needed"
Friendly, attentive staff. Nice setting and function rooms. Clean and big rooms. Pool area ok but could do with an update. Breakfast was good. No air con though in hot weather was a downside. Good pub opposite. If I had spent £65 on my room I wouldn't feel so negative about my stay. At £95 it's completely over priced. The whole hotel is dated and scruffy. There was some work going on so maybe upgrading works are in progress. The bathroom was very old and needs ripping out. There was a nasty, mouldy shower curtain around the bath with the most useless shower known to woman. The room was boiling hot, I slept with the window open but that made no odds. There's no air con. The food at breakfast was the only saving grace, lovely toast and the scrambled egg was delicious. The service was poor, the waitress was completely over worked and under supported. The coffee pot was a million years old and I ended up with more coffee on the table than in the cup. Unless you can book this place for £65 or less I would give it a miss. We stayed for a Saturday night in a standard double and paid £106.25 for room only. On arrival we were given keys to a twin room. We'd booked a double but were told no doubles were available and that we'd booked a twin. After checking our reservation, they found a double without explanation. The room was quite small and dark. We needed to use the lights during daytime because directly outside the window was a tree blocking any view. There was a flat screen TV, wardrobe, hairdryer and a chair too wide to fit under the vanity table. The room was a lacking a little love, the wallpaper curling near the skirting board and there was damage to the wall near the wardrobe. Furniture was cheap Pine. The towel rail in the toilet could not be turned off which was bothersome on a warm May Saturday. There was no safe or mini bar in our room Positives included a very powerful shower with plenty of hot water, pleasant toiletries, soft towels and comfortable bed. Tea making facilities were decent and the wifi worked well. We also got a courtesy call a few days before arrival which was a nice touch They have a swimming pool which was popular, ample free parking and you're within walking distance of the town. Overall though, I'd choose elsewhere, I felt the hotel offered poor value for the quality of the room which we stayed in and the front desk didn't offer that great an experience. I stopped here overnight whilst passing through. I booked with only a few hours notice and asked for a late night check-in. Hotel staff were greatly accommodating and were always on hand. Room was lovely, quiet and provided a great nights sleep. Breakfast was good - large choice of meals and all within a "normal" budget. "Pleasant 3* Hotel with good food." We enjoyed a long week end break at this hotel in May 2017 to celebrate a birthday with friends. The check in was quick and the room was clean, functional and comfortable with nice views over the gardens. 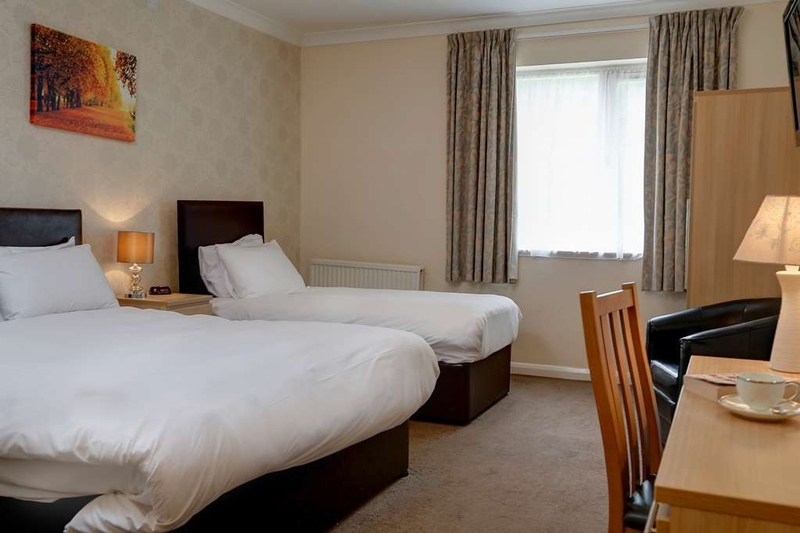 The hotel is situated around 10 minutes walk from the town centre and offers reasonable car parking. There is also a very nice heated swimming pool which was not too busy when we were there. We met in the bar that evening and the staff were efficient and helpful. On the first night we went out for dinner to another local hotel and were very disappointed. The following morning we had a very nice breakfast with plenty of choices of cereals and mains. That evening we ate in the restaurant and the menu offered plenty of choice, was reasonably priced and proved to be very tasty. We felt overall that the hotel offered fairly good value for money and would stay there again. "Distinguished by its commitment to being average"
Dropped in for lunch at 11:45 but you can't order until 12. Started well! Sandwiches on appalling processed bread and a vague attempt at a cup of tea! Thanks goodness I wouldn't normally stop there. Enough said. It had been a while since we stayed here, the last time for a wedding. Nothing had changed and yet much has changed, our room (No. 3) was freshly decorated with a new, albeit small, bathroom. The bed was comfortable and my wife was delighted to find an effective hair dryer as part of the facilities. There are two really good things that stand out; the staff - nothing is too much trouble and they really make you feel welcome. Secondly, the breakfasts; freshly prepared, served with a smile, a good way to start the day. No doubt we shall return. "Easter fun at The Royal Chase "
Having looked at previous reviews I was slightly concerned that this hotel would be a bit run down. However we were pleasantly surprised. Our family room was newly refurbished with a fantastic bathroom! Furthermore it was close to the pool which was great and very rarely had anyone else in it. Breakfast was a bit mixed; one morning was great (we went a bit earlier), however the other morning was obviously very understaffed (we overheard a waitress mentioning staff being cancelled as they expected it to be quiet). The food took a long time and there wasn't as much choice out. Our order was also slightly wrong. The food however was cooked to order and tasty. Overall we were impressed. The location was good and the hotel definitely fitted our needs. The staff weren't the most enthusiastic, but were polite and answered any questions we had. Stayed here for a business trip and yes, the hotel is a little tired and needs updating. However, my room (41), was large, airy with a decent hairdryer, coffee etc and an iron. Shampoo and body wash also supplied. It was also quiet as it was a back room overlooking the garden. Breakfast was good with the cooked option made fresh when ordering. Would of liked a gym. My colleague had a much smaller room with no bath, so it's a bit hit and miss on which room you get. Stayed here for one night on business. The hotel is pretty much what you expect for the price. It is clean with large rooms and most of the usual accompaniments. Food in the restaurant was reasonable and the beds comfortable. The hotel also had a pool although I had no time to use it. There are however, a few things lacking compared to other best westerns I have visited: No air conditioning in the rooms No on demand movie service No gym The car park is also far too small for the size of the hotel. Would I stay here again? Yes. "Lovely staff, but not an enjoyable stay"
I stayed here for four nights on a business trip. I found all the staff incredibly helpful and friendly, and the food in the restaurant was nice so I have give the hotel two points for this. My room wasn't in a good condition, there was dust on all of the light shades, the curtains were coming of the rail, bathroom wasn't in a good state (grout in-between the tiles were black and there was a bad smell in there too). It was very dated so I don't think this was the recently renovated part of the hotel. The windows in the room weren't reinforced in anyway so the cold, noise and smells from outside came into the room. The heating wasn't adequate either so I had to stay under the quilt to stay warm. The floor in the room needs fixing, I get that it is an old building but maintenance on things like this can still be done. The floor had sunk considerably and my bed was on an angle that made me feel like I was falling out of bed. My room was also above an entrance so I was disturbed constantly throughout the night by the door slamming when people were coming and going. Also people stood outside of this entrance to smoke and so (bad windows remember!) the smoke was coming into my room. After reading other guests comments about the management and seeing the manager's responses on here I realised there was no point in raising any of this as the management don't seem to have a great value in what their guests think. Also as some of this was structural etc, there wasn't a lot they could do really. I was due to stay another four nights the following week, but due to my experience I decided to cancel my bookings and stay somewhere else. Very pleasant stay. Room obviously refurbished recently. Food very good and friendly service. Surprised it was only listed as a three star hotel - deserved more. Handy for town centre. Swimming pool a bonus. Newly redecorated and very homely The Royal Chase is a lovely stop for anyone wanting a night away. They look after you from check in til check out. Would definitely return. Thank you for a lovely stay. We made a reservation for this hotel from an internet site so we didn't know what to expect. We didn't check in until late but the staff in reception were very friendly and helpful and check in nice and easy. We were allocated room 30 on the ground floor a nice spacious clean and well decorated family room , with a comfy bed and a nice powerful shower. Breakfast came as a big shock I have never had a breakfast in a chain hotel like this one it was amazing, there was a plentiful selection of cereal , rolls , warm bread and your usual pastries. A chilled cabinet with yoghurts , fruit salads and a rather nice looking strawberry compote and also a selection of 3 fruit juices. Now the cooked English breakfast totally amazing top quality bacon and sausages with a great taste, very tasty indeed and its all freshly cooked to order which you just cant beat. The staff at breakfast again nice and friendly and happy (no one suffering with the morning blues in this hotel) and very professional. Check out was nice and easy and friendly. We will without any shadow of a doubt use this hotel again....its worth it just for the breakfast! thank you all at the Royal Chase Hotel so much. "A Glacial Chill. If ever Dr Zhivago is remade, the scenes set in Siberia could be filmed here." We have stayed here on several occasions and the problem has always been the same; the central heating system simply does not work in the bedrooms. This time it was November and even worse, with a freezing night outside and no heating in the room. Now, either the central heating is not being put on to save money, or else it needs thoroughly servicing and repairing; the valve on the radiator went round and round and did nothing at all. All that was on offer was an electric heater by way of a substitute. That the hotel knows there is a problem was evidenced by the fact that one of the staff was busily engaged cleaning two more substitute electric heaters when we left. The bathroom was the size of a cupboard with insufficient room to swing the proverbial cat (not that we had ours with us as he prefers somewhere warm); seriously, this situation is found up and down the country - the creation of a so-called en-suite facility with the minimum of financial outlay. The whole place is somewhat tired and run down and rightly or wrongly the impression that is created is that Best Western are looking to get shot of it. So that when things break down they are not repaired - witness not only the central heating but also the Jacuzzi in the swimming pool which had ceased working some time ago and has now been filled in. When we raised the issue of the non-working radiator by way of recompense we were refunded the cost of our breakfasts. It's really a shame as the staff we encountered were very pleasant, the swimming pool is very nice, and the location of the hotel is excellent. 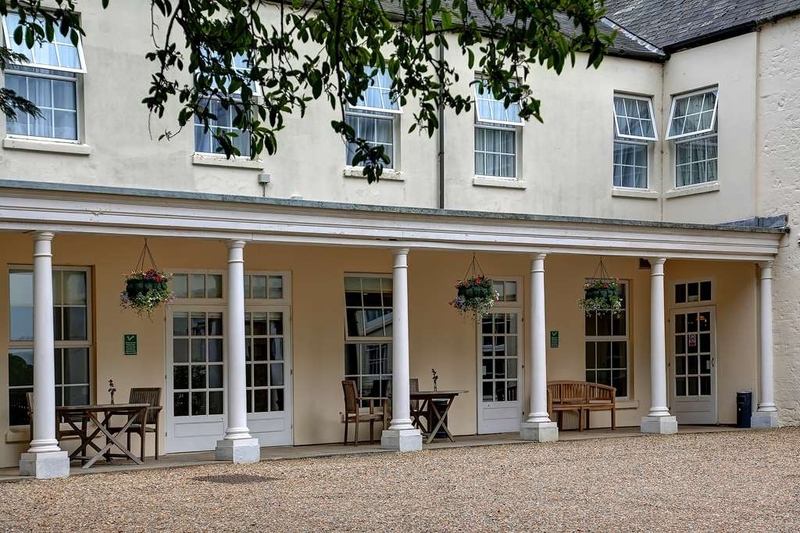 Lovely setting for hotel, in gardened grounds, rooms were fine, if in need of just a little attention to detail, but great space and high ceilings, over looking gardens complete with owls in the morning! just lovely, Nice deep bath for a lovely soak, and swimming pool, lounge area with board games to play, very nice for the family to relax. The one thing which put a down on things was the restaurant staff attitude, long wait for food (fifty mins), and some arrived cold, taken away so did not eat together, was not offered bread while waiting, nor a top up of drinks !. There is a point of No return in a bad situation, and the family meal and evening was in tatters. The hotel reception ( Holy) was great to try and sort things. But my advise is the hotel could make so much more of what they have, by up-selling drinks, offering extras, turning off some of the excessive lighting to make things more relaxed and get just ONE great member of staff, who could do what those restaurant staff was not even trying to do. All the money spent on getting us to the hotel, advertising etc etc, was undone in a few minutes of bad attitude and lack of customer service. But well done Holy, sorry it all fell at your door to deal with. THIS PLACE SHOULD AND COULD BE GREAT, GREAT GREAT! The room was OK about the same as a Travelodge, fittings a bit tired. Had a evening meal at the bar. Very small potions. Had fish and chips, 21 chips and a very small piece of fish for around 15.00 Was trying the place out as we hope to get a big contract locally in the area. But for the cost it was poor value. For bed and breakfast 125.00. Breakfast was stingy. Asked for two bacon and two sausages. Only got one of each and only got one cup of coffee. Asked server a few times but not really around. Only a few people in the breakfast room. After the small, fish and chips the night before I was hungry. I checked out and went upmarket for another breakfast at Maccy D.
"Very nice people and service." This is my third time staying here and it has been one of the best hotels I have stayed in, the staff are helpful and nice. And the breakfast is amazing here, there is a pool for the whole family to have a swim in and keep the family entertained, this is the perfect hotel for business, family holiday and tourists because of the attractions are nearby. "We came here for lunch"
When we arrived we were told that we could not sit in the restaurant as we were not staying here, but we could sit and eat in the bar area. The decor is fair and the cleanliness is good. The lady behind the bar was helpful and even supplied crayons for my two great grandchildren. We ordered food and when it arrived it was both tasty and hot. There is a childs menu as well as a 'specials' menu. Unless you have 'quiet children' I did not feel it was an apropriate place to bring very small children here for lunch, as the room echos a little! The whole experience was fair and I would not rush back, but maybe if we do return it will be without the little ones. very good deal through Best Western rewards and ideal location for visits to National Trust properties around the area. The hotel provided all the facilities we required for a weekend break peaceful and quiet easy to find. The freshly cooked breakfasts and choice was extremely good and staff were very friendly. "Needs a bit of TLC in the rooms"
Stayed for 2 nights as I was working in the local area, and this hotel is placed very closely to the town centre. Location was ideal, however I was disappointed with my room. The decor was very dated, the room amenities looked like they hadn't been updated in many, many years! Wallpaper in the bathroom was mouldy. Nevertheless, the bedroom was clean, and the bed comfy. Staff were very friendly, and I can't fault the breakfast - the full English was delicious and a great choice of continental options were available. The hotel is undergoing renovations, so hopefully next time I stay it would've been improved! Its always difficult to fairly review a Best Western hotel, as 'Best Western' is effectively just a sales and marketing organisation with a lot of independent hotels as members, resulting in widely varying standards. For a Best Western, The Royal Chase is quite good, although perhaps not 'very good' in comparison to some other hotels. A pleasant welcome, large comfy room and a large bathroom, wonky floors and all. The food, both at breakfast and the evening bar food, was pretty good, easy car parking and the pool looked ok, although I didn't use it. As ever, hotels like this are let down by the detail e.g. the waiting and bar staff were mostly miserable and service was only ever ok, the toast at breakfast was thin and crispy, rather than thick cut, poached eggs on toast was served one day with poached eggs on the plate and a separate rack of toast - on the second day, the eggs were presented on toast, on the plate as I would have expected, the dispenser for muesli was blocked - obviously no-one checks it. The bar was largely 'dead' apart from guests eating meals and staff were often absent in the nearby kitchen - It also suffered from a cacophony of sounds - TV playing in one corner, continual piped muzak and on one evening music from a fitness class in the adjoining function room - not conducive to a relaxed stay ! Despite this, they offered a good price for single occupancy and I may well stay again when visiting my son in nearby Gillingham. "Dog Friendly? Not even people friendly!" We were between houses and booked into this hotel for a week through Booking.com as it was shown to be dog friendly. When we arrived we were met by a surly receptionist who informed us that only two rooms were dog friendly and that we should not have used a booking site but should have booked direct with the hotel who would have told us what facilities were available. The room offered was minute. We had a lot of luggage as can be expected but were told there was nothing that could be done for us. We were awoken before six the following morning with pots and pans being bashed around, a loud radio and talking. The room was above the kitchens. I complained and was told that the other dog friendly room was even smaller and already booked. I eventually managed to speak to a manager who was slightly more sympathetic and eventually agreed to move us to a wing of the hotel that was being upgraded. The room they offered was not yet upgrade so they were prepared to allow our dog in. Unfortunately we had paid upfront or we'd have left immediately. However, I would like to commend the restaurant staff who made us very welcome and allowed us to sit in the bar area for breakfast and evening meals so that we could have our dog with us. Would I stay or recommend this hotel: Never. The hotel is in a good location and looks nice from the outside. Inside it's not very welcoming. The receptionist was pleasant enough. My room was a good size but rather shabby. The bathroom is in need of updating but everything worked as it should. The lights in the room were bizarre, and it was a puzzle to work out which switch controlled which light. The TV was good quality. It took ages to connect to the wi-fi but once I had it was fine. Breakfast was nice and the breakfast staff friendly and helpful. Some simple room service other than breakfast would be helpful for business travelers who need to work in their room. The staff are very moody I have done this job for years and if they were my staff they would all be sacked except the two men. I have stayed in the great western hotel in Bournemouth and it's service with a smile. Would not recommend this hotel as the staff make you feel very uncomfortable and seem to like over charging customers. From start to finish made to feel uncomfortable and not very welcome, but more than happy to try and over charge us for our stay! The problem with this establishment unlike other Best Westerns I have stayed at is staff training. Slow service, bar and reception staff seem to be void of personality and arrogant. The chef seemed to be the only person who went out of his way make you feel welcome. But the fault always seem to be the customers judging by management responses on here. Would not recommend. Only stayed here for one evening whilst away on business. Receptionist was very polite and check in was quick and simple. Room was not huge but adequate for one evening. Room was very clean. Pool and sauna were of great quality, the water in the pool plenty warm enough. All staff very friendly. Just spent a long weekend here as it was the venue for a wedding reception. 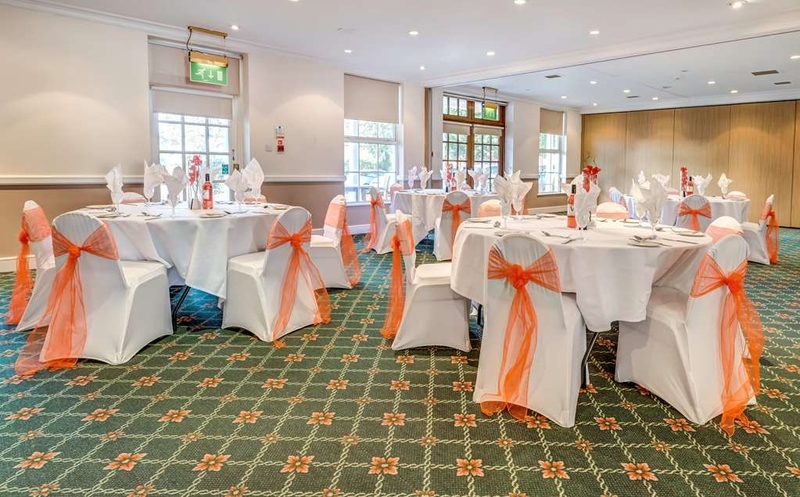 The food was excellent quality (both standard breakfast, and the wedding carvery/evening buffet) The staff we extremely helpful and efficient, we asked for an extra blanket, one was delivered within 3 minutes. 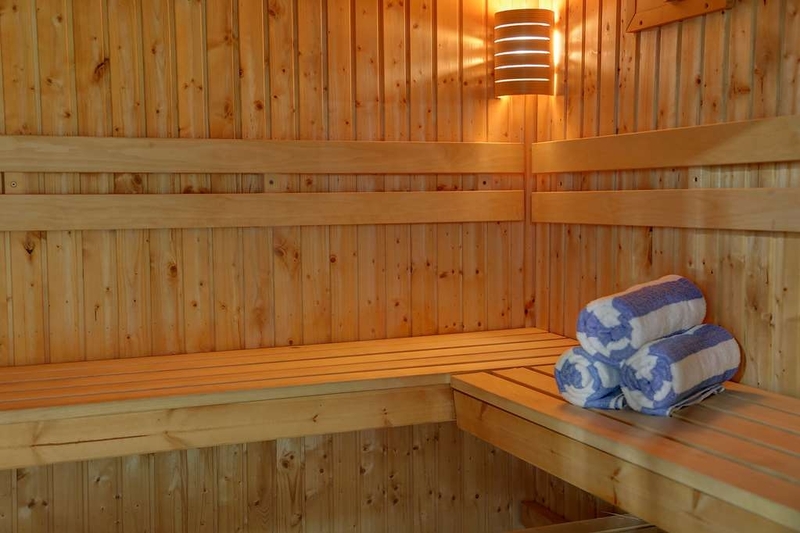 The pool and sauna are a lovely way to relax! "Some way short of lovely..."
This is a nice hotel (building) with friendly staff but when I stayed there with my son it was disappointing. The hotel has a feel of being past its best and in need of investment. 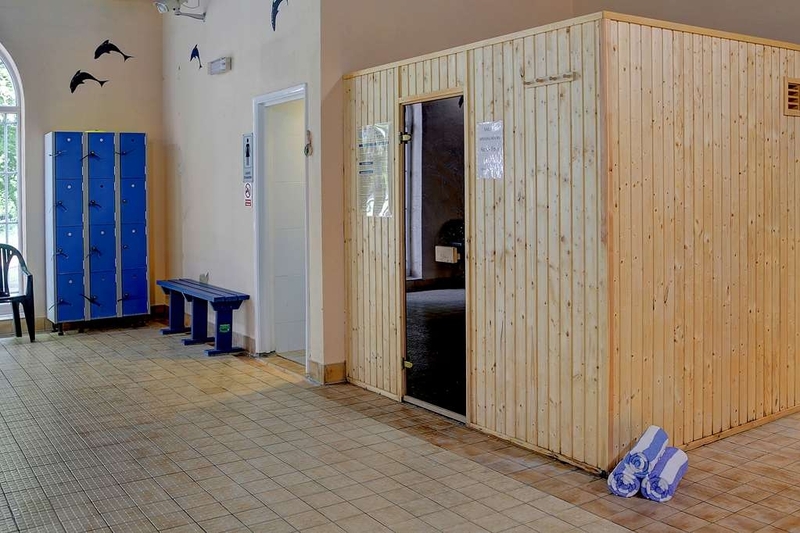 For example, the pool is a great asset but the changing rooms and particularly the showers are in poor condition. The staff were very friendly but there too few of them. There were just 2 waiting staff for breakfast, which led to long delays, tables left uncleared and an overall chaotic feel. The food (breakfast) was ok, but it tasted like it had been left in a hot plate; it lack taste and the toast for example was cold and lacked the crispness you would expect. "Best carvery we've had in a very long time"
Beautifully cooked food, lovely staff and really nice setting. Everything was fresh and tasty and our party of 14 had a fantastic lunch. Even my dad (who is a very fussy eater) enjoyed it and is telling everyone how good it was. Such great value too. Well recommended. We went on a sunday coach trip from a excellent travel agent from Chippenham. We had two sight seeing tours. We stopped at the Best Western Royal Chase Hotel,Shaftesbury for sunday lunch. The carvery lunch was out of this world with many choices to chose from the menu. I thoroughly recommend this hotel to all readers and we will be returning there again in the near future as a couple. "stay for Blanford Steam Rally visit." I would recomend this hotel and will probably stop here again,it was clean and well run.I would not fault it and the staff we met were all helpful and polite.The room was very nice with every thing we needed. "Cleaning regime badly in need of attention"
When we arrived reception was quite busy, which may account for the absence of a ‘recognition gift' as a Best Western Diamond card holder, or it maybe they do not fully participate in the B/W Rewards programme. The hotel is situated on a very busy roundabout and main road, so traffic noise can be a problem for those rooms at the front of the hotel. Our room (4) was on the first floor overlooking the main entrance and car park. The first thing we noticed was the creaking floorboards and snooping floor which was quite pronounced. This creaking theme was also present in the beds and the seats in the breakfast room. The room looked a little dated, but when we went to plug in the small clock radio they had provided at the side of the bed we noticed sweet wrappers behind the bedside cabinet. It was at this point we noticed various bits of debris on the floor which had obviously not been vacuumed, and there was also deposits of dust and debris behind the bathroom door. We were there for three nights, and during that time the sweet wrappers and other assorted debris remained untouched, and are probably still there to this days. Management obviously don't have a procedure in place to regularly check to see if rooms are correctly maintained. Breakfast was a better experience with friendly and helpful waitresses serving up pipping hot cooked-to-order breakfasts. However I did notice staff spraying sanitiser onto the tables with sugar bowls uncovered. This is a training issue, which is easily addressed. The hotel also had an indoor swimming pool (not used), and a computer available for guests use. Despite the warm weather the hotel had taken steps to keep the hotel cool by placing portable fans in the corridors. It's only redeeming feature were the staff we encountered, who we found to be pleasant, friendly and helpful. Not a hotel we would readily revisit. Room OK but quite dusty. Hotel has seen better days! We overheard the cleaners in the hallway (who were sitting and not cleaning) discussing how they "hate hoovering"! Not a good impression for guests! Despite being told by the receptionist that the carpet in the restaurant is hoovered every day, this was clearly not the case! The floor always looked dirty, maybe it was just old, but this was a place where you eat! Food in restaurant, despite the prices seemed to have an "out of the packet" look to them. Best part of hotel was the swimming pool and the library. Stayed for 1 night on business trip, and was very happy with the facilities, food and staff. Spacious room, good evening meal and excellent breakfast. Did not have chance to use the indoor pool, but it looked popular. Excellent staff, nice large rooms, nice restaurant, its located a bit out of town, surprisingly has an indoor swimming pool, good spot to stay if in the area. Its an affordable 3* Hotel and as such is 'what it says on the label'! Stayed one night whilst in area. Room nice and quiet at back overlooking garden. Bed was wonderfully large and comfy. Restaurant food was fairly basic but good, well presented and the staff friendly and smiling. Stopped off here on the return journey from Devon and had a wonderful few days before returning home to celebrate our 31st wedding anniversary. Weather was not brilliant but that was not any fault of the hotel! Stunning part of the country with wonderful scenic views. I had not previously stayed in a Best Western hotel but would certainly do so again. The quality of service provided by each and every staff member really was exceptional! This hotel represents excellent value for money. I look forward to my next stay. We visited to celebrate our 20th wedding anniversary. The booking was simple to do online and confirmation was immediate. We chose the hotel because of the position, facilities and because it looked special in the photos ... we weren't disappointed. The staff were all friendly and polite. The decor was beautiful and the facilities were great (swimming pool, sauna etc). There was free WiFi in all areas (a bit slow but fine). The food was gorgeous and a nice variety, especially at breakfast. Our room was huge with a lovely spacious, clean bathroom. Beautiful white fluffy towels and free toiletries. We had plenty of tea/coffee making facilities, seating and flat screen tv. There was also an iron and ironing board in the huge mirrored wardrobe. The hotel was superbly situated. .. only a 10 min walk away from Shaftesbury town centre and Gold Hill etc. Would definately recommend a stay here. We stayed one night and we had two rooms for 3 adults and 2 children. I guess I forgot to write that we had a 10 year old daughter with us. It was ok to have a child under 12 in the room for free. The description (on Swedish booking) said that the bed was bigger than it was but we managed to squeeze in the big bed – me and our two children – 10 and 13 years old. The hotel is a bit old and needs a renovation although it is a nice hotel. It is an old abbey and you can see the traces of it. The bedroom is a good size and the beds are comfortable. The bathroom is really big with a bathtub. Nice and clean. It was hot in the room and there is no A/C but I called the reception and the kindly brought up a fen and that helped. The staff is really nice and helpful. The breakfast was good too! You can order from a menu and it is in the price of the breakfast. Good breakfast with quite of good choices. 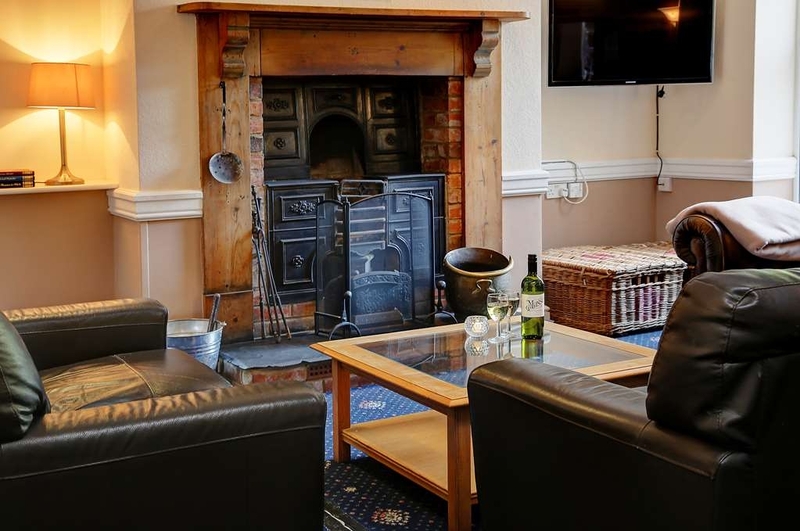 The hotel is located in a good position in relation to Shaftesbury and is reasonably priced. Our room was nice and clean and comfortable. The breakfast was nice, apart from being what I consider to be over priced at £10 each, especially when some of our toast was found to be mouldy. I would stay here again as it is in a convenient location for visiting family. I attended a wedding at the Royal Chase which was amazing. For every part of the weekend, wedding, eating and drinking, the staff were always willing to help and just so friendly. Would definitely recommend to others. That staff at this hotel were exceptional especially the gentleman who served our breakfast, didn't know anyone could be so helpful and jolly at that time of the morning. The rooms were comfortable and the food good. Stayed at this hotel for 2 nights, over a weekend. We were informed of a function taking place, which at this time of year July is not unusual. My husband and I had a warm welcome and were given all the relevant information. The room was basic with the usual commodities, tea, coffee making facilities, hairdryer etc. Unfortunately we found the door handle to the bathroom had a red sticky substance on it. The mugs for the tea/coffee were not washed properly so I needed to wash them again. We reported the dirty handle to reception on our way out, so when we returned it had been cleaned. The bathroom itself is in need of refurbishment as it was shabby and not in the cleanest condition. On Saturday morning at 9.30 we had a knock on our door from housekeeping asking if we needed anything? Apparently staff had phoned in sick so they had minimal staff to clean the rooms. We felt obliged to vacate our room quickly in order to get our room cleaned. Not ideal! I do not think this is a hotel to recommend, as I have stayed in a better basic, cheaper chain of hotels in the past. "Old fashioned, poor staff, complaints ignored "
I stayed here for 2 nights for a wedding at the start of July and honestly I wouldn't stay here again. The fact it had a super large bed was nice, that is the only positive really. The Internet didn't work in my room so I used a lot of my own 3G making arrangements with the wedding party etc. The bed was super soft and uncomfortable and I assume very old like everything else in the room. Everything was very beige and needs updating. The curtains look like something from Alan Partridge - all floral and 80s looking. The shower was arguably the worst I have ever used - either boiling or freezing and no in between and the lightest dribble of water came out with no power at all. The worst part about the bathroom was that the door didn't close. I did email to complain about this afterwards as it was incredibly awkward but I got an email reply stating it was simply "a bit stiff". It wasn't stiff - it ran on the carpet from the room outside as it was so misaligned. No one asked me at check out how my stay was, and since complaining I haven't even been offered so much as 10% off my next stay, not that I'll be staying again. Good rooms, lovely pool & sauna. Wonderful restaurant, great selection on menu. 5 star breakfast, one of the finest breakfasts I've eaten anywhere in the world! Utilising quality local produce, huge choice of pastries, fruits & cereal. Very impressed! Look forward to returning again next year! 5 night stay at this hotel and our experience was good. Our rooms were fine, although quite warm but kept clean and overall very comfortable. The staff were also very friendly but breakfasts did take overlong to serve....but the dining room was never full. Reasonable choices on the menu and enough of a choice of breads, fruit, yoghurts self service. 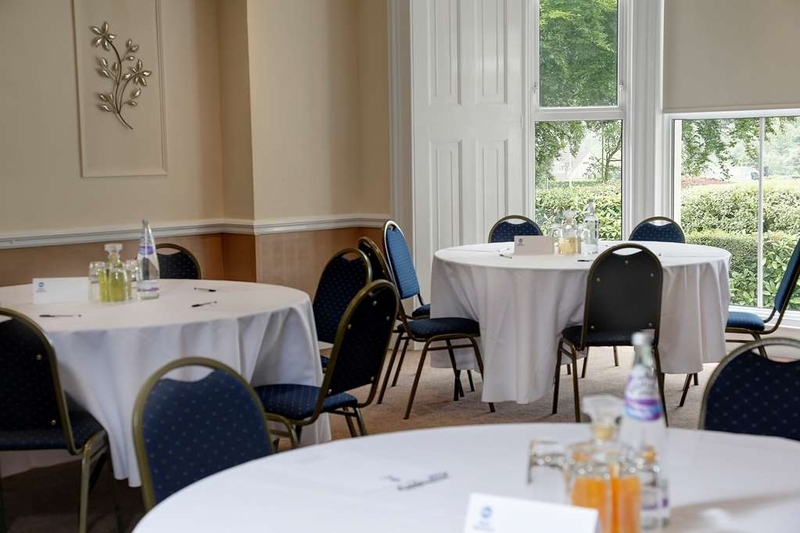 We were made to feel welcome, there is sufficient car parking spaces and immediate access to main road and not too far from town centre. Overall good experience but maybe a bit quicker in preparing and serving breakfasts. We will return to this hotel during our next trip to Dorset. "Friendly and helpful staff in pleasant hotel"
We spent four nights here on a group holiday. Our room was pleasantly decorated with all necessary facilities, including a generous supply of milk, biscuits and toiletries. The shower was easy to use, which isn't the case in all hotels, and the bath was not too high for easy stepping in and out. The staff in Reception and the restaurant and also the cleaning staff were all very friendly and helpful. We had a power cut one night caused by overhead lightning and the staff managed very well. As they couldn't provide a hot meal, they soon rustled up a buffet. The food was generally very good and hot with a wide choice. We would stay here again if in the area. It takes about 10-15 minutes to walk into the middle of Shaftesbury to see the lovely Gold Hill. Stayed here for one night in a superior suite. Was pleasantly surprised by how lovely the newly decorated room was, loads of space and lots of extras such as fruit bowl, bottled water, dressing gown and slippers. Bathroom very modern with separate bath and shower. Breakfast was delicious with large continental selection and freshly cooked full English. Coffee was excellent. "We were very well looked after"
We stayed at this hotel as part of a coach party of 31 visiting gardens in Dorset for two nights last week. We found the hotel very accommodating; the staff were all very kind and helpful. The rooms were clean and comfortable. It was hot weather and those staying in first floor rooms above the front of the hotel suffered from being too hot. Apparently the hot water supply there also heats the radiators. The building's listed status makes it difficult to change this. But fans were provided to guests in those rooms. We had breakfast and dinner at the hotel and once again found the food very acceptable for a 3* hotel. Compliments to the chef(s). The water in the swimming pool was a bit too warm for a proper swim, but was very relaxing. Coach access was a bit problematical using the the access marked entrance. In fact the other unmarked access proved much easier. A number of us had some problems accessing the free wi-fi, whilst others had no problems. But the staff were very helpful in sorting it out. Some of our group did manage to get into Shaftesbury, but we didn't manage it. Another time perhaps? I would definitely recommend this hotel for group visits. "A bit tired and in need of some TLC"
Our first experience of Best Western and not a good 'advert' for the group. Not very inspiring/friendly reception, very narrow staircase to get upstairs and difficult to carry suitcases. Room was a good size and the beds nice and comfortable. The upstairs passages had some fans on the floor going full blast because of the warm weather. Rooms have no aircon. which we, as visitors to the UK, have difficulty accepting for the prices being charged. Bedroom was too warm for us. Ordered a morning paper (sat.) of which only a part was delivered. Although reception deducted the cost from our bill we were given the impression that our honesty was in doubt. Quite adequate breakfast with pleasant staff. Nice to be waited on at table. 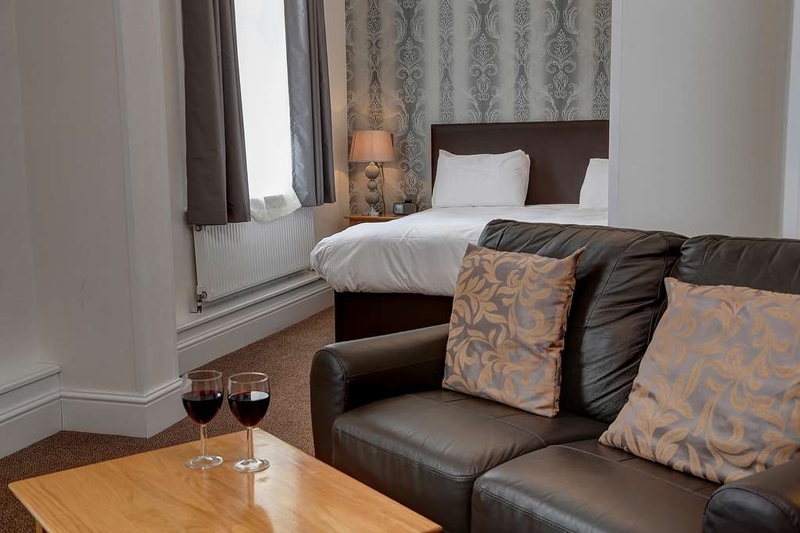 Nice hotel within walking distance of Shaftesbury town centre. Deluxe room was well appointed though suffered from being located right over the entrance to the hotel. This wouldn't so bad if it weren't for the fact that people tend to spill out of the bar into the courtyard outside making it very noisy in the evening. Didn't try the restaurant. "Visited for a wedding in the area." Nice hotel with a lovely pool. Staff were friendly and polite. Hotel was clean and the room was large. The hotel were good enough to let me know in advance that a wedding would be taking place there on the Saturday night, but as I was attending a wedding in another location on the same night it didn't affect my stay. Adequate parking and a nice quiet town. Near to Stonehenge but you would definitely need a car. For the price we paid for a night in the hotel for two people, the quality of the hotel was not to a good standard. We were greeted by an 'unhappy' receptionist who required a large amount of persuasion from ourselves to assist us in booking a cab to take to us to a wedding. Her words were 'Doubt you will get a taxi with lots of weddings', she was obviously psychic. We got to our room to find our door wedged open and a 'Wet Paint' sign on the door. A workman who was working hard and doing a good job of repainting all the doors informed us that the rooms were not ready (Even though the receptionist told us they were). The rooms were very spacious and the beds were very comfortable. The bathroom needed updating. If you think the pool is for just hotel guests, think again as members of the public pay to come and use it, therefore never a nice relaxing dip, just a constant avoidance of children. Not much needs to change to bump this hotel up to a great stay. We stayed for 2 nights last week. Its approach from the large busy roundabout looks like a Hotel in need of a paint job, however the inside was being refurbished, so maybe on the way. The reception was very helpful and our room very large, could have done with a mini bar though. The restaurant menu is very staid and not particulary adventurous. Only fish was Battered cod and looked massive, (far to much) only chicken was hot nashville spicy chicken. usual steaks etc, my steak was very good but the menu needs livening up. there were only two other tables occupied so it seemed a little bleak. Breakfast was very poor, on the buffet there was a few cereals and yoghurt plus 3 nearly empty containers of juice. The breakfast menu was Ok the cold meats an local cheese was fine. the bread served was just a slice of white bloomer. The most outrageous thing was that a full english breakfast cost en EXTRA £10. The Hotel advertises as breakfast included, so charging this amount for, a sausage, egg, bacon etc. is not a way to do business. I would say the constituent parts of cold meats and cheese would have cost the hotel more than a fried one to produce. Also at about 6.30 pm on wednesday it sounded like Fat boy slim was having a party directly under our room. The whole room vibrated, it turned out to be a keep fit class in the conference room underneath. 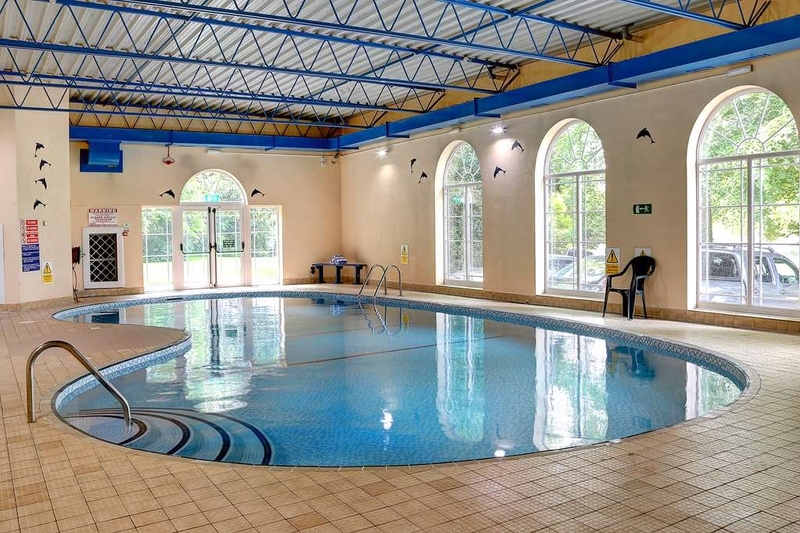 It strikes me that this hotel doesnt know whether its a private hotel or a leisure centre as the swimming pool was also open to the public.!!!! All in all not the best hotel in the world, nor the best hotel in shafsbury! There was a wedding taking place the weekend we stayed - but this posed absolutely no problems for us. Convenient for the lovely town of Shaftesbury. No complaints about service or breakfast. The room was comfortable but a bit pokey. From the time we arrived the staff were friendly, helpful, and hospitable. The room was clean with good facilities although as the weather was very warm a mini-fridge would have been a bonus for liquids. On request, I was supplied with a fan to cool the room. The bed was very comfortable. The breakfasts and dinner were very good - generous, varied, nicely-cooked and on hot plates (not so everywhere) and the waiting staff were excellent. 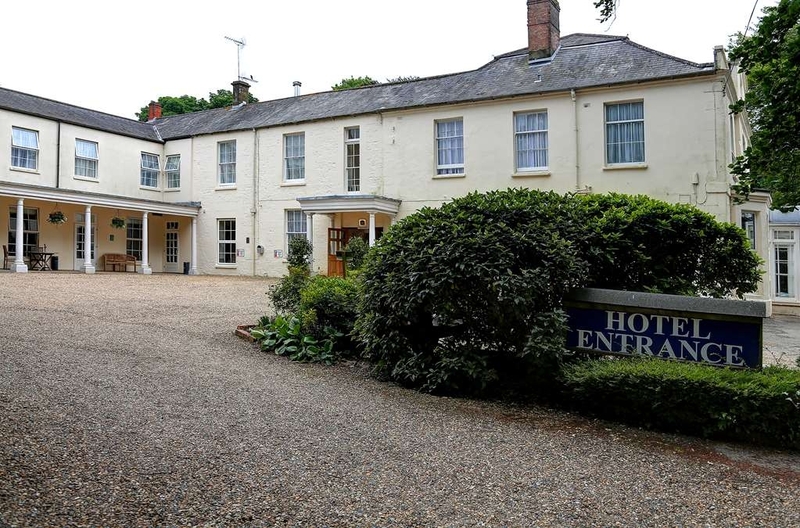 The location of the hotel is very convenient and accessible to Shaftesbury and other locations. The helpfulness of the staff was the best experience, and being unable to open the lower half of the south-facing bedroom window was the most negative thing for me. Our room was lovely and very clean and comfortable. The breakfasts were very good and had many different choices. Service in the restaurant was really good, we would particularly like to mention Shaney, who definitely goes above and beyond with her customer care. One or two downsides I'm afraid - when we last visited the hotel (6 months ago) the wifi was brilliant, this time we were told of a new server that we may have to download cloud.but we were unable to use the Internet for the entire stay ( not really a problem for us but I would not be best pleased had I been working!) also I'm afraid we were a little disappointed with the quality of the food in the restaurant in the evening. The menu is limited in that it is set and there were no specials on , my husbands fish on the first night was not good at all. only stayed 1 night but wish we could have stayed longer. the room was lovely and large, clean up to date, and far exceeded our expectations. we also used the restaurant for dinner. the menu had a few nice twists and portions were large. But more importantly, Extremely tasty. The only downside was the position of the towel rail in the bathroom which was far too close to the sink and could burn bare skin. The room was excellent and very comfortable. Breakfast was also lovely with very fine and varied choice. The ambience of the bar could have been improved by the absence of television or background music otherwise great. Good location, clean friendly hotel. Hotel pre warned us upon booking of wedding on the weekend of our visit. They advised us our room was in a quiet place, we did hear anything. Thank you. Surprisingly good meal in the restaurant Sunday evening, my husband and I had the Spanish lamb, it was excellent! Fantastic customer service from Shaney a little star! This hotel offers an excellent choice of breakfast foods, all hot items being cooked to order, and then brought to your table. Also, hot drinks were brought to your table. What a treat. All too often, even in far more expensive hotels, one has to serve oneself to all food from a buffet arrangement, and then queue at the hot drinks machines. All this in order to give us, the paying customer , more "choice", ie to save the hotel money on staffing costs. I have to serve myself all the time at home, so when I am away, I want to have food placed in front of me! Regarding the selection of foods on offer, to my delight, my favourite breakfast was on offer- porridge and haddock. Not to everyone's taste, but certainly to mine. Along with the very strong, very hot black coffee, a very good start to the day. There was also a very good selection of other hot foods, cereals, fruit, pastries, breads,yogurt. Staff- friendly and helpful. Parking- fine, but I imagine it could be a little crowded during busy periods. Rooms- comfortable, but decor and furnishings a little dated. My bed was extremely comfortable. Shower room- recently refurbished. One complaint- please upgrade your lavatory paper, not something to economise on! For the price, excellent vaue for money. A medium sized hotel with a swimming pool in a beautiful part of the country. We stayed one night to attend a local wedding reception. We found the staff helpful, food good (had dinner and breakfast), room clean and water pressure in the shower was excellent. We also used the pool twice which was nice. The bed was extremely comfortable and pillows very good. For the price we paid (£73 for a family room B&B) I had not had very high expectations and was very pleasantly surprised by how good everything was. I would definitely recommend this hotel. I stayed in Room 3, which has a plaque on the door proclaiming it the Mulberry Room or something. When I asked the receptionist why my room had a name, but none of the others did, she told me it's because it's a deluxe room. "Really? ", I said, trying not to sound amazed. The room has recently been refurbished, apparently. Unfortunately, it's looks like somebody has looked at a few pictures of boutique hotels online and tried to do something similar with stuff they found at a boot sale and the remaindered section at B&Q. The white plastic kettle and 1980s LCD clock/radio are giveaways: this is a basic B&B with a fancy frock on. On the plus side: the building itself is quite lovely (from the outside), the staff are friendly enough, and it's not overly expensive. Oh, and I couldn't get the shower to turn off. It's one of those tab/shower fitting combos, and is obviously getting on a bit. One of the maids told me that you need to use a towel to get a better grip on the valve and give it proper welly. "They've been meaning to fix that for a while...." she said. Which pretty much sums the place up. "No food service between breakfast & lunch." I have called into this hotel on several occasions for sandwiches & coffee en route to the south coast and have been served by an attentive & pleasant male waiter on each occasion. Not so today. At 1120 we drove up just as a coach party was departing. We searched out a waitress and asked if we could order refreshments to be told that the kitchen was closed and would open between 12.00 and 1400. They had no refreshments and were unable (and quite obviously had no inclination) to make sandwiches for the three of us. Nil service for passing customers, nor presumably, for hotel guests. Worthwhile bearing in mind; these are hours akin to a pub rather than a hotel. Disappointing. "Great stay - very convenient "
We stayed here for one night. Arrived at 5:30 in the evening. Quick, fuss-free check in. After leaving our bags in our room & 'freshening up' we went straight to dinner. Next morning had a swim before a filling breakfast. - All staff we met were very friendly & helpful - Everything we needed was on site & close to our room - very convenient: restaurant for evening meal (from 6pm) & breakfast, library/reading room to borrow a few books for bedtime reading, swimming pool for 8am swim before breakfast - The food at dinner was good quality & good value - Lots of choices for breakfast, again very tasty. The cooked breakfast was very good, notably the scrambled eggs, sausage & mushroom, & very good (mini) croissants. - Clean room (on 1st floor). Not huge, but adequate. Enjoyed an overnight stay,friendly staff.nice simple good size room,the bathroom needs updating!.nice an clean had a good nights sleep room was lovely an warm . Breakfast was plenty,an cooked well,pool an sauna is a bonus. "A second visit to the Royal Chase"
We visited this hotel back in August 2015, and came to visit again in March. It remains a thoroughly decent hotel, with friendly and helpful staff. Still a little frayed around the edges. Still too many locals using the swimming pool. But overall a good experience, with clean, comfortable rooms at a decent price. We would certainly use the hotel again. All staff made us feel very welcomed. Superior room was outstanding, and well worth the extra. The menu choice was really good. 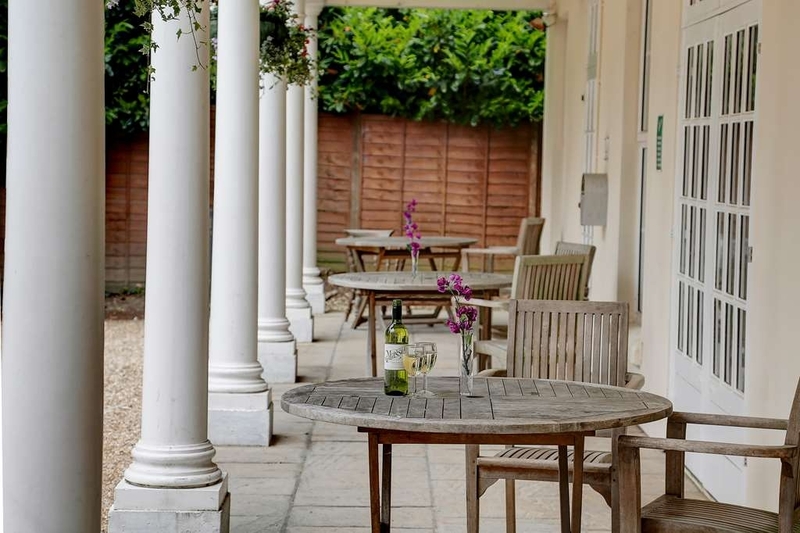 The hotel is ideally situated for exploring Dorset, Somerset and Wiltshire. A walk up Gold Hill is as good as any cardiovascular workout. Two of us stopped here as we were working in the local area. Rooms were of good quality and the beds were lovely and comfortable. Evening food was decent and the breakfast on the morning was superb, overall not a bad stay at all and would return again. "Average Hotel with terrible showers"
My wife and I stayed here for a friends party. Parking was difficult, but managed to find a space in the muddy areas. Booked in okay, room was okay, however when we came to use the shower, well ridiculous is the word. It looked like it had been recently installed and looked very modern, however there is little to no pressure in that the shower head just about dribbles water, when you transferred to the hand held unit you manage to get a small amount of water . We did inform the woman at reception but being a Saturday she looked rather bewildered at what to do. Having spoke to other guests they also experienced similar problems, so why oh why is it that a hotel chain as big a Best Western can install new shower units but fail to ensure there is sufficient pressure to make them work. Having decided to have and pay for one of the better rooms it felt rather disappointing to have such bad showers Also , other areas that the management might want to look at, At 0600 hrs the radiators start to knock as the hot water enters them( rather annoying at that time of the day). Lastly you may want to look at the breakfast as who ever buys the bacon should get better quality and also ask the cook/chef to actually cook it not give it 2 mins in the microwave. .
We held a party for my fathers 90th birthday, and have nothing but praise for the organisation and staff on the day and before. All our requirements were catered for and it was enjoyed by everyone and of course the main man. Staying in the hotel for the night allowed us to remain for the evening and the rooms were very good clean and comfortable. Breakfast was good and made a fitting end to the party weekend. We had a very relaxing stay at this hotel. Is in a great location for visiting Shaftesbury and surrounding areas. Easy parking right outside, and receptionist extremely helpful....in fact all staff were friendly, helpful and looked smart. My husband liked the beer in the bar which is very nice to relax in. Food was excellent, reasonably priced and good size portions. Can recommend the fish and chips, cheeseboard and house red wine. Likewise breakfast spot on, so nice to have it freshly cooked to order. Room was nice very clean with plenty of hot water for showers and baths. Will be returning. Good location for visiting Shaftesbury only a short walk into town, the hotel is well presented, room was clean and well presented, we were disappointed with the breakfast arrangements, waited to be seated for 3-4 minutes, there were tables which had not been cleared, no Orange juice available,,so decided to forget breakfast and check out, would stay here again though but would of expected the service to of been better. We reserved 2 rooms for 4 adults for a special birthday treat with breakfast and dinner included, on arrival we were a little disappointed with location (directly on a roundabout) and exterior, (a little shabby), we were greeted by very friendly and helpful staff, 1 room on the ground floor was basic and the other on the 1st floor was very nice although the bath took 20 min to fill and had a very poor strength shower, the water also was just hot enough. Dinner on the 1st night we were greeted and served by friendly staff, the food was nothing special but Ok, although not very busy the wait between courses was very slow. Dinner on the 2nd night we were 1st to arrive in the restaurant and ordered our starters and main course, the 2 prawn cocktails were bland, no sauce and looked different, (not recommended), although the soup was good, our mains of steak, home made burger and 2 x beer battered cod took ages to arrive, the steak was very good, the burger was acceptable but the fish and chips were very bad, the batter and fish was under cooked and we did not eat, the homemade chips served with all courses were great the 1st night but tasted as though they were reheated on the 2nd night, they were hard and not nice, we all left them, when we told the waitress our dislikes she said she would pass the information to the chef, we were not offered another meal nor did we receive an apology. Breakfast for both days was fine if you want continental style, but for a 'full english' go elsewhere, the bacon is tasteless and the eggs whether poached or fried were served hard, in all we wish we had not booked the inclusive food deal, if we had been in a different restaurant we would not have paid for the breakfast or the 2nd nights dinner. Swimming pool is small but nice and warm but can get busy as it is open to non residents too. Excellent Value booking direct using BW website and BW membership scheme Easy to find, ample (free) parking,Free Wi-Fi that works throughout the hotel My room was very comfortable, spotlessly clean and thankfully had an equally clean bathroom (as opposed to a Shower Cubicle) As the Hotel's Leisure Centre shares it's reception with Guest this could cause delays but this is a minor inconvenience Hotel Bar area is rather more "functional" than relaxing with tables etc arranged in a uniform manner which is probably very efficient but does not promote a relaxing drink(appreciate this a personal opinion ) Entertained guests to dinner, again, restaraunt is functional rather than welcoming, food was acceptable rather than exciting but certainly nothing to complain about. Check-out was the only minor issue (hotel had three attempts at presenting my bill before we arrived at a conclusion) Again, a minor issue, In short would not hesitate to use again but would probably choose to eat out? friendly, clean hotel with decent sized pool, décor interior/exterior a bit tired. overall good stay. Staff friendly & helpful Food excellent, short walk into Shaftsbury. Although we did not have Sunday roast, appeared very popular & busy with locals. In great need of refurbishment, extremely dated. Staff ok, however over priced meals and sad, tired decor. I have stayed in lighter, brighter, cheaper budget hotels half the price of this one. Did not see any sign of a lift, during my stay but saw an elderly couple struggling with the stairs. I have to admit to being a little concerned reading a review just before our visit in January, but I can only assume that the "shooting party" had unrealistic expectations or were extremely unlucky. Our stay could not have been any better. The staff were all very pleasant and helpful, the hotel had a good selection of food and drinks on offer and breakfast was excellent. We also made use of the pool and sauna which was very good. I would have no hesitancy in recommending this hotel to anyone wanting to stay in or around the area. All the staff I encountered were smart, attentive, helpful and friendly. The decor in the room I occupied was tired and in need of redecoration. I thought a little more attention could have been given to the cleaning. The interior of the wardrobe was dusty and the tiles in the bathroom were grubby. I slept well as the bed was comfortable and there was no noise at all. Wifi worked well. Breakfasts and Evening meals were very good. The swimming pool and sauna were a real bonus. Overall, I had a most enjoyable stay and will definitely return if in the area. Excellent value for money! "Unwolcomeing, With staff resentfull to be at work !" I personally organised a days game shooting close to Shaftsbury as I do most years but was unable to get accommodation at my usual hotel in the town for my 9 guests due to the hotel being booked for a private function over the weekend. I booked the Royal chase through booking.com, I was contacted by the hotel quite quickly to inform me that there maybe noise from their functions currently booked, at this point I asked if we had access to a communal bar for us all to meet in and if they had any type of gun safe on the premise, I was informed yes there was a communal bar and that regretfully they had no safe.... this not a problem as we were all in possession of our own shot gun certificates and that we would take our own precautions to their safe keeping. My guests arrived prior to myself and were informed that we were not permitted to enter the building with the shot guns, please note they were safely carried and secured in there appropriate cases as they by law should be carried. My guests had to educate the staff on reception to the required responsibility of their luggage. During the stay we were all made feel VERY unwelcome as a shooting party, due to their lack of knowledge and understanding of the laws and process required to even obtain and own a shot gun never mind to carry one in public. As a group we enjoyed the bar area of the hotel along with the restaurant with actually good food from the kitchen, however we were evicted from the bar and lovely warm fire during our afternoon drinks to enable the hotel staff to greet a wedding party, this I was extremely upset at as again we were made to feel unwelcome and uncomfortable, this was not informed to me on my booking. I clearly made my dissatisfaction to the manager as I checked out and paid quite a large bill, to which I received an argument from the lady demanding that she have her argument put across to me ! To finalise, I would certainly never stay at this establishment again and would highly recommend any group to look elsewhere. The staff are quite rude, untrained to work in the industry that they are choosing to work in and certainly need training for the service industry !! The hotel group should have at least a manager to be familiar with shot gun / firearms laws being positioned in the countryside within the centre of a great shooting area. Very unimpressed. I very much refute your comments. My staff and I are long tenured in the service industry, the service we provide is, as the overwhelming majority of our guests comments attest, frequently exceeding the requirements of our guests. With all due respect it is not our responsibility to understand gun laws, I find the suggestion poorly considered. We are adaptable to the often changing requirements of our guests to the best of our ability - a prerequisite of service industry workers. We are not however experts in all matters despite our best efforts. Reasonable persons would not, I believe, agree that we should have 'an education' in gun law. Some of your group were, respectfully, irresponsible and as such were politely asked to move/remove their guns from locations which we considered inappropriate. I do believe your negative comments seek to disrupt others perceptions of us in retribution for this. Common sense would dictate that the actions and behaviour of some of your group was irresponsible. We must consider all our guests, respectfully not only yourselves. You were informed about the wedding in advance and we simply asked you to relocate whist we greeted the wedding party, a measure which was also for your own comfort. This was only temporary until the wedding party entered their function room. You fail to mention that you kindly agreed following our offer of complimentary drinks. I do not recall any objection at the time and hence find your comment unfair. Though you regrettably consider our management of the situation at the time as 'rudeness' I do believe you are incorrect in this. I do thank you for your feedback and it is most unfortunate that you choose to refrain from further visits with us. Thank you. "Like a nightclub in the room"
The noise levels from the disco are just not acceptable for paying guests. Very poor attitude to customer service from the majority of the staff . Would never stay here again. Best Western you seriously need to train your staff in how to handle customers. 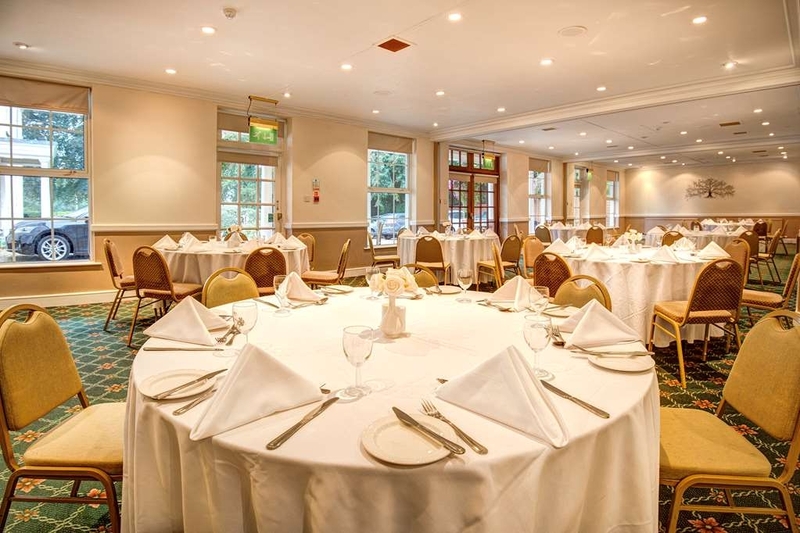 "Excellent venue for a family celebration"
We held a 70th birthday lunch for 30 people. It was excellent we had a room to ourselves, next to the library. The staff were excellent throughout our visit, from front of house, bar and the waiter service was excellent. Nothing was to much trouble. The food was served hot and enough for all. We had the room extended for after dinner coffees, teas etc and it was great venue. "Nothing Royal About This Place"
We arrived from Manchester on Friday 11th December, so after a 6 hour journey we were glad to get to the Hotel. On arrival, there was nowhere to park. We had to leave the car in the middle of the car park and were advised by Reception this would be ok. Half an hour later, after my partner had gone out with the keys, they asked me to move the car. The food I ordered to the room was disgusting, pretty much inedible. The breakfast we ordered the next morning was also disgusting. Poor quality and tasted old. I would on the other hand highly recommend The Grosvenor Arms in the Village, a little more expensive but there is plenty of parking and nice food. Don't stay here, unless you really have too. "Comfortable and relaxing stay at Royal Chase"
Friendly and helpful staff, excellent breakfast, comfortable room. Very quiet bedroom despite Christmas party and a wedding in the hotel during our stay. Large, clean room, plenty warm enough and plenty of hot water. Décor slightly out dated. Well positioned in relation to Shaftesbury, friendly staff and very happy with character and style of the hotel. Only critical comment made to reception was that the carpet had not been hovered under and behind the bed (lovely bed by the way!) and the power shower was too powerful for the showerhead, resulting in a lot of fun trying to stop water from getting out onto the bathroom floor. But overall we thought the hotel was lovely and excellent value for money. We stayed in room 15, I would not recommend it as you get the noise from the kitchen extract system and staff early in the mornings. The weather turned cold and the radiator did not work, the room got very cold, I also pointed out that the rooms could do with a better clean as there were cobwebs on the light and disused soap was left in the shower. The staff were great however they cannot may up for the down sides, the hotel is undergoing a refurbishment but not enough money is being spent so it still looks old and tired. "Nice hotel, came with our dog this time, helpful staff"
We stayed here on a deal after staying here in 2013. This time we took our little dog which was fine. They have two dog rooms which are ok (we had room 15) but I wouldn't want to stay for too long as the room was quite small and there was an air-conditioning unit outside the bathroom window. Having said that, it is nice to see a hotel offering accommodation for dogs. The breakfast was excellent and the staff were friendly and helpful. This was our first experience at a Best Western and unfortunately I was quite disappointed. The hotel itself looked lovely from the outside - quite grand looking but on the inside it was very different. Whilst I cannot complain about the cleanliness of the hotel or the polite staff the hotel itself was very dated in décor and for want of a better word - bland. The hotel has a pool which we thought was good as we like to have a relaxing swim in the afternoons. We arrived back to the hotel after a hectic Saturday driving around the countryside and visiting little towns and made our way down to the pool. When we got in the water was quite cold and where there looked to have been maybe a sauna or jacuzzi I'm not sure was just a bit of a plastered wall and some metal fencing which made the whole place look awful and really run down. The pool could have definitely benefited from being warmer - maybe some nice green plants and some loungers around the pool all would have helped to make this place look more up-market! We were also disappointed with the breakfast, on Saturday morning we asked for the smoked salmon and scrambled egg only to be told that they had no salmon - OK fair enough if they had run out then that was that but to not bother to get any for the next day when they could have popped to Tesco's up the road to ensure they had some for their guests I thought was not good customer service. We did complain when checking out on the Sunday morning and the receptionist agreed that it was not acceptable especially as it is offered on their menu but that was all we got - an apology. Had we of paid around the £60-65 a night mark for this hotel in its current condition I think that we would have accepted its short comings but the fact that we paid £85 per night I do not and would not stay here again or recommend it to anyone whilst it remains in this way. Hotel chains have their flag ship hotels and this is clearly not one of Best Westerns and it definitely needs money spending on it to bring it up to a much better standard and to make it worth the money charged to stay there. Two night stay, Friday & Saturday B&B. Staff very attentive. Clean room. Breakfast hot and quick despite a lot of guests. Room was very clean and everything worked. We were warned that there would be a late function on the Saturday night but we never heard a thing from the event or the other guests. Use of the bar during the event was not a problem as there were enough hard working staff who even took my drinks out to the garden for me. The pool is freezing and the poolside facilities poor. Bathrooms need updating but rooms were clean and comfortable and the staff friendly enough. Nothing stood out as great, hence the average rating. My husband and I booked this hotel not completely knowing how close we would be to Shaftsbury centre , we were attending a family wedding in the centre . Good sized car park, which is a bonus in Shaftsbury, check in was quick , receptionist helpful and friendly . We booked well in advance for a double room with breakfast. I was disappointed with room size, very small in comparison to other rooms for the same price, never have understood how they can charge the same for an inferior room. However, good complimentary refreshments and toiletries. Very noisy shower but water nice and hot. Food very good with plenty of choice and the breakfast was excellent. All the staff were very friendly. We stayed in a central hotel in Shaftsbury back in March and found that to be very pricey for the meals and drinks. The Royal Chase was just a pleasant 10 minute walk away and would definitely be the hotel of choice for a future stay . The hotel is on the edge of town around 15 minutes walk to the high street. The rooms are a good size but not well loved. There were cobwebs and a broken bed wheel in our room. Basic tea and coffee making bits and a good tv. Bathroom ok with ok shower. Again just a bit tatty. The pool was very chemically and the sauna broken. Me and my son both came out of the pool with red skin from the chlorine. Breakfast was good with ample range. When asking to leave the tomato off my wife's breakfast we were told 'just leave it'. Service was efficient but without a smile. I wouldn't rush back here. From the parking to the reception everything is agreeable with this middle of the road hotel which boasts a swimming pool yet I'm quickly alerted to the out of action steam room as advertised at the reception desk. The staff are friendly and concise and I was directed to my room, room 12, on this occasion. A clean room and along with the corridors felt newly decorated to a good standard yet lacked any real style. Arriving late after work caused concern as the bar area was shut down. However a ring of a bell at the reception desk prompted a swift appearance from the night porter who served us happily into the small hours. I found the bed very comfortable with a quilt that wrapped me up a treat like it was feathers, though I'm not sure it was. The shower in this room was awful the trickle of water was a good temperature but not enough power. No bath here didn't concern me though many folk like one so take note that there's no alternative. Breakfast was poor on the continental side without much real choice. As far as the cooked breakfast is concerned the menu indicates that there is an extra charge and it feels slightly like a deterrent. So braving the question I asked for two poached eggs on brown toast. They were delicious and cooked to perfection without any questions regarding the extra payment. I didn't try the pool though it looked small and was perhaps a token to elevate this Best Western's 'star rating'. I'm sure you'd find prettier places to stay in this stunning landscape though as a business style hotel I'm sure it'd accommodate your needs with a few conference rooms to boast of and attentive staff. I stayed at this hotel for 2 nights in September 2015 while working in the area. The building looks attractive when you arrive, but the reception area is not obvious and the entrance hall looks a bit cheap and drab. I had to stand and wait for ages to check in as the receptionist was dealing with another couple, did not acknowledge that I was there and seemed unaware that I was standing right in front of her. I was finally given a key to my room, but after locating it along a long corridor, I found that none of the electrics in the room were working and none of the lights would switch on (including the bathroom light). I returned to reception to query this, and the receptionist was very sceptical but accompanied me back to the room to try the lights for herself. Realising that I was right, and the lights really were not working, she said that they would have to get an electrician in, and she then returned downstairs to get a key to another room. I was finally settled in to a small room overlooking a rear car park, with a spotlessly clean bathroom (although AGAIN the bathroom over-mirror light was not working, and although I reported this to reception as well, it was not fixed during the two days that I stayed there). Breakfast was unappealing with very slow service, bad coffee, and jam and marmalade in strange little miniature Kilner jars which were sticky all over the outside and were obviously topped up every day without being washed. As there was almost nothing I wanted to eat at breakfast, on the second morning I brought my own breakfast. I avoided evening meals at the hotel as the menu looked equally unappetising. On the plus side, the indoor pool is great for relaxing (or doing laps if you feel energetic), the bed was very comfortable and the wifi in the rooms works well. Overall I would not stay here again unless there was no other option. The staff are not very attentive and the food leaves a great deal of room for improvement. The staff were very helpful throughout the hotel and throughout our stay. The hotel was clean and tidy, amenities we good. Menu was great, a good range to choose from both for breakfast and supper and the food was very nice. The bar was well stocked although it would have been nice to have a little bit more beer choice to choose from. We booked this hotel for a few days relaxing in Dorset on the basis that it was Charming and Quiet. Charming? - Maybe: the location is certainly good and the building would have been elegant in its day but is now in need of a fair bit of investment. Quiet? - Probably, most of the time, but not when there is a wedding party! We were fortunate that our room was away from the bar/reception area but we could not use the bar, tv or shared areas as it was noisy until late. Breakfast on the Sunday was shambolic as there were insufficient staff to cope with the numbers. On the plus side, the breakfasts were excellent, the staff were very friendly and the pool was relaxing (although the steam room was out of order). We would probably stay here again but I would first check whether there was a wedding party. The hotel is clean and quiet, the staff are friendly and helpful. The breakfast was nice with plenty of choice, I would stay there again as very pleased with everything. The hotel is situated on a roundabout very handy for visiting most areas. "Lovelly Hotel in great location"